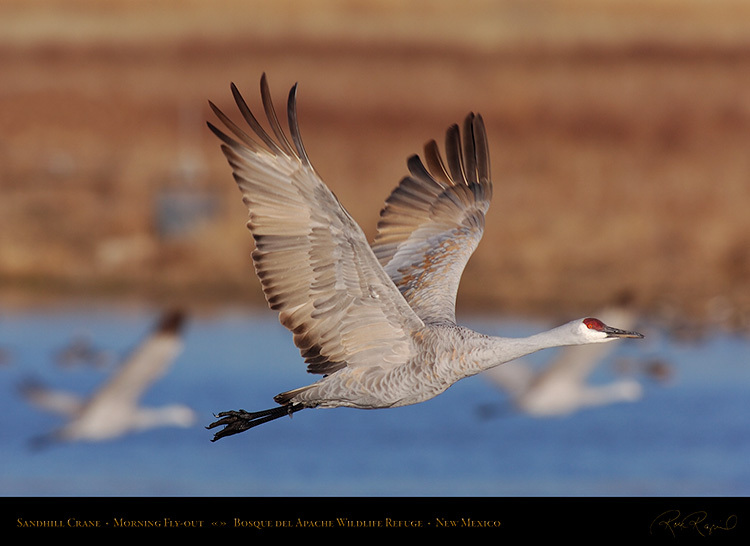 The Banner below leads to the Birds Collection where a Gallery can be selected. showing an Anna’s Hummingbird female hovering to feed on Sage. 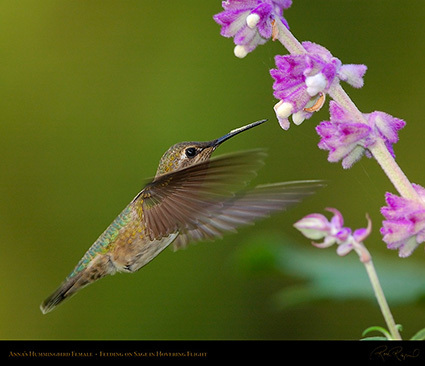 An Anna’s Hummingbird female hovering to feed on Sage. 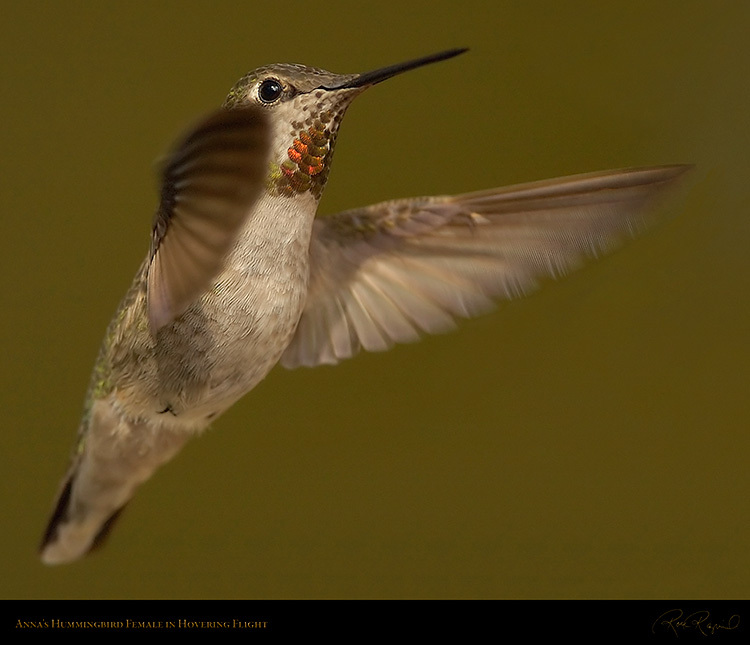 An Anna’s Hummingbird female in hovering flight. Note the tiny red gorget. Anna’s is one of the few species whose females have color on their throat. a humming sound. The hummingbird is the only group of birds which can fly backwards. 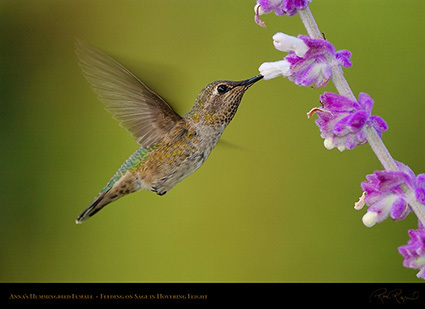 trilling (singing), and rare images of the mating ritual are shown on the Hummingbirds Study page. 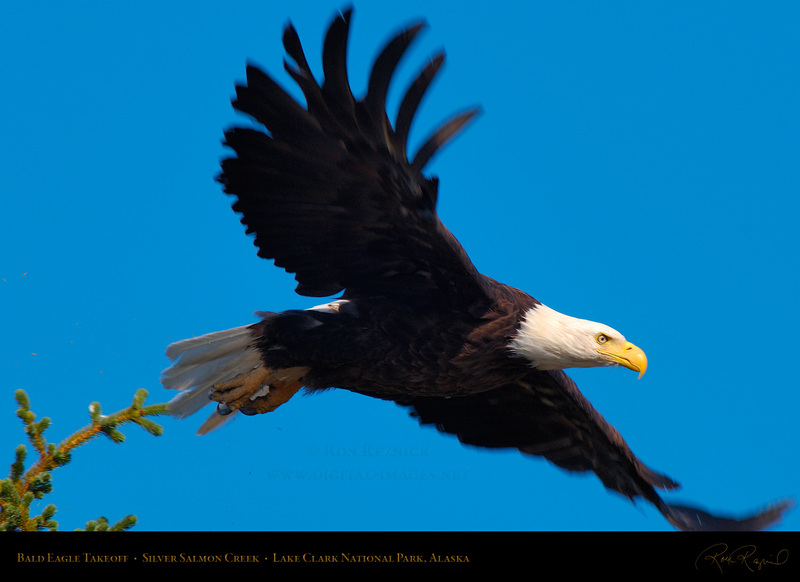 A two-image composite of a Bald Eagle in flight at Bosque del Apache Wildlife Refuge. 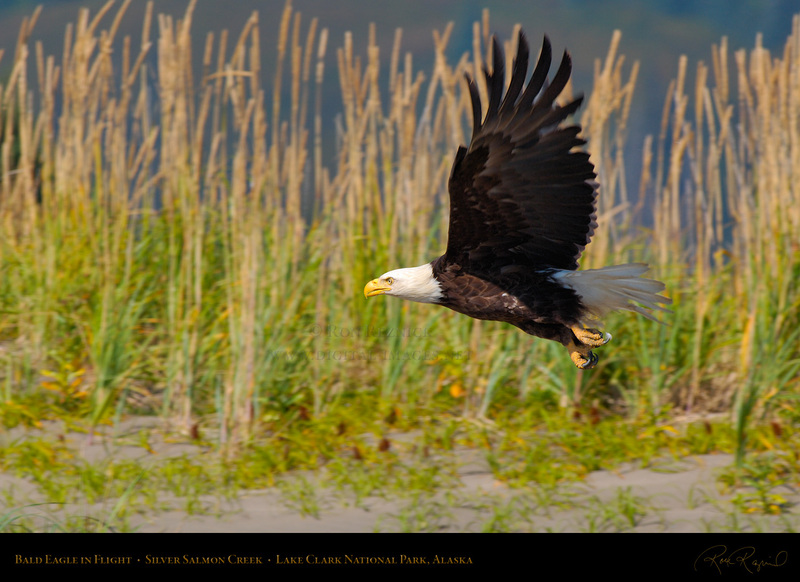 In my experience, it is somewhat unusual to get a Bald Eagle flight opportunity at eye level. A Bald Eagle in takeoff position on a stump, taken at eye level at Silver Salmon Creek, Alaska. 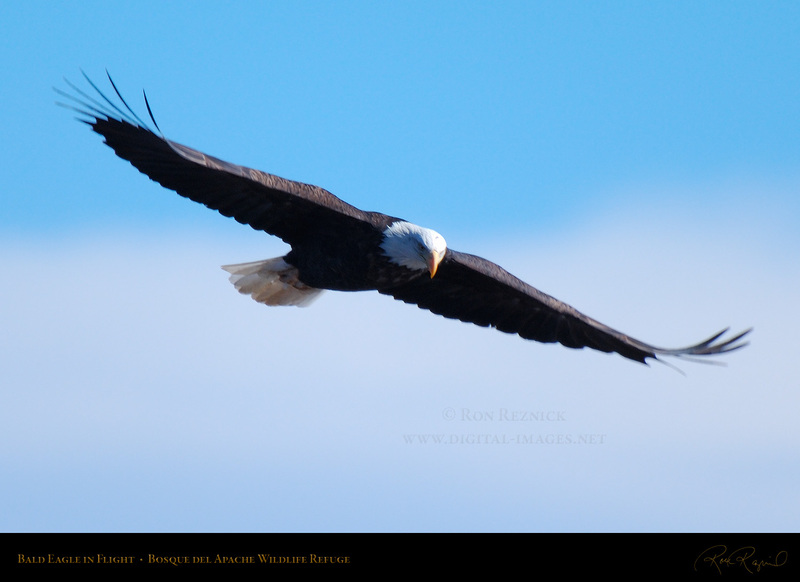 This sequence has been the only other time I have had a Bald Eagle flight opportunity at eye level. 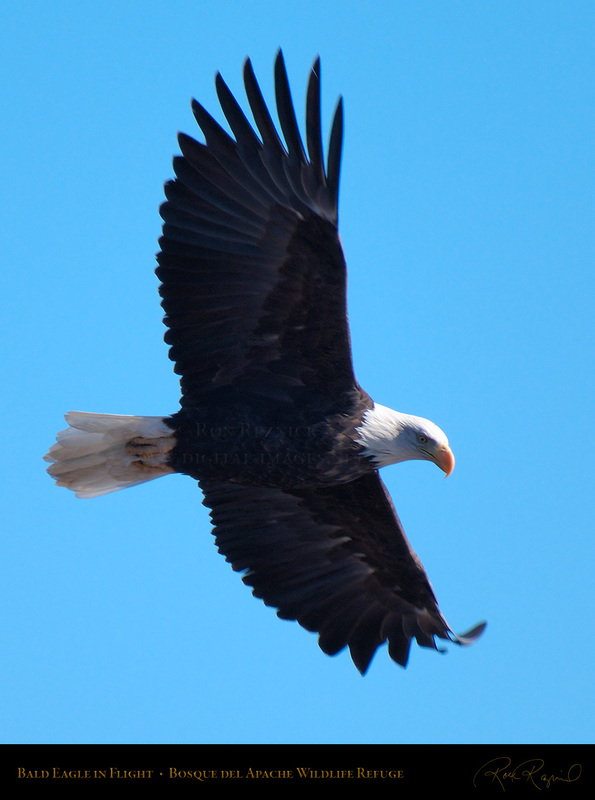 As mentioned, it is quite rare to see a Bald Eagle at eye level. He stayed for a few portraits and then rapidly flew away. 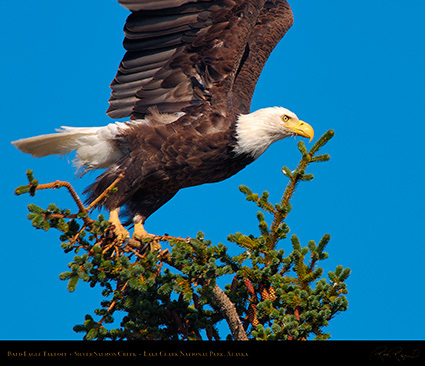 The portraits and other images of Alaskan Eagles are in the Eagles section of the Raptors Wildlife Study. 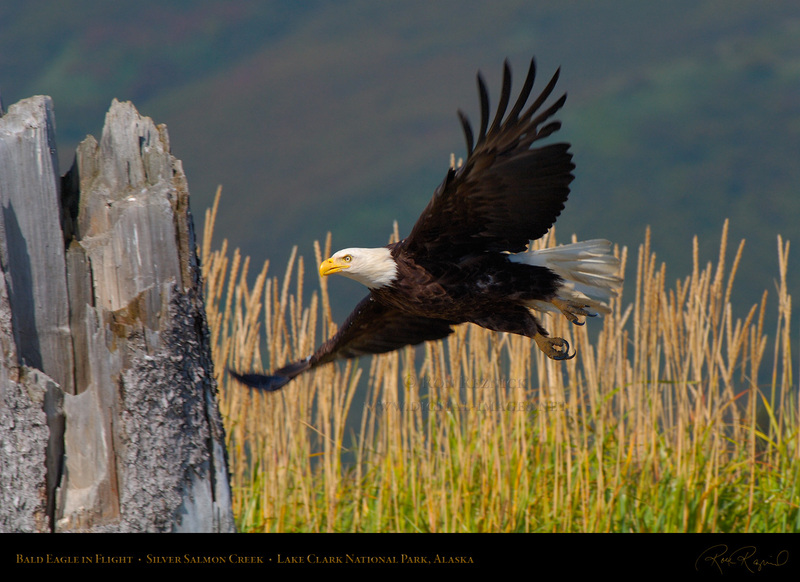 The Bald Eagle is a sea eagle which primarily feeds on fish, but it will also take waterbirds and rodents. The name derives from the ancient Bald which means white spot or white head in Old English and Danish. 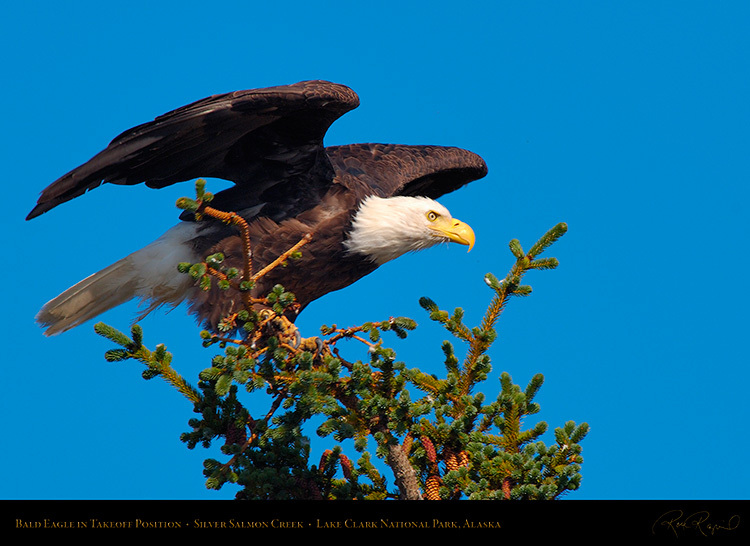 largest tree nests ever recorded (images of nests are also in the Eagles section of the Raptors Wildlife Study. A Bald Eagle in the US Postal Service position, in a more usual location high in a tree. the focal length of the lens was too long to catch the takeoff without cutting off the wingtips. A Bald Eagle springs from a treetop into the air on its way to catch some Alaskan salmon. 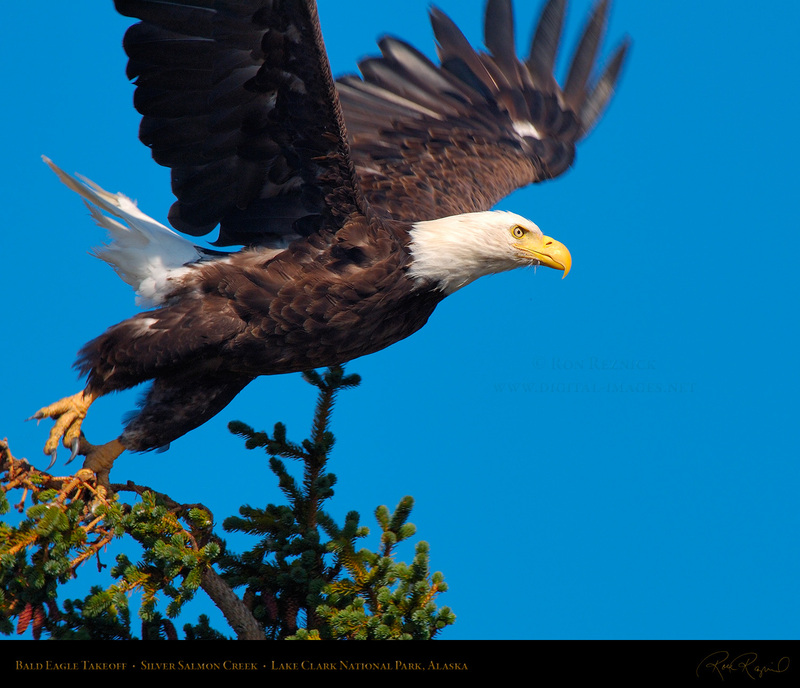 A Bald Eagle takeoff from a treetop near Silver Salmon Creek, Alaska. 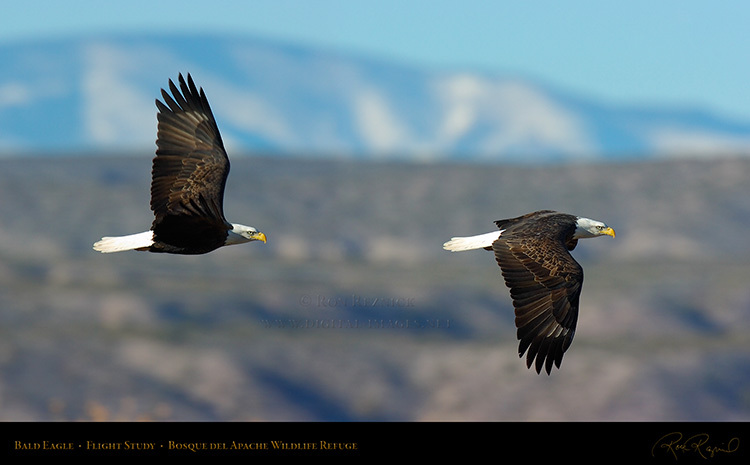 A Bald Eagle soaring over the Bosque del Apache Wildlife Refuge in New Mexico. 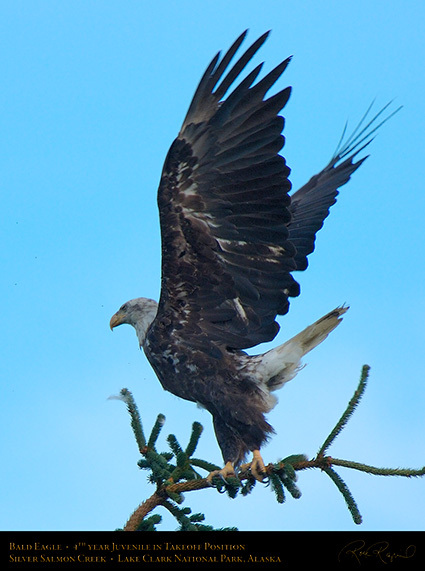 A juvenile Bald Eagle (mottled feathers) takes off from the top of a tree near Silver Salmon Creek, Alaska. Most often, when Bald Eagles are seen in flight they are at a considerable height. The 700mm shot above was a relatively rare flyover, 100 feet over Bosque del Apache. Bald Eagles are powerful fliers, and often soar on thermal convection currents and updrafts. 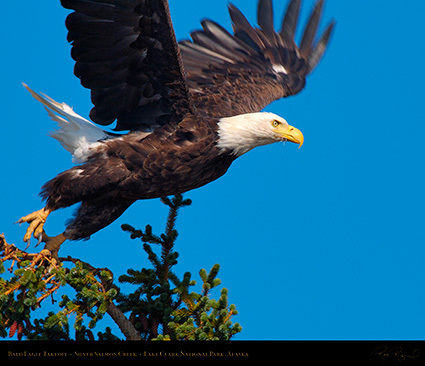 More flight images and portraits of Bald Eagles are in the Raptors Wildlife Study. 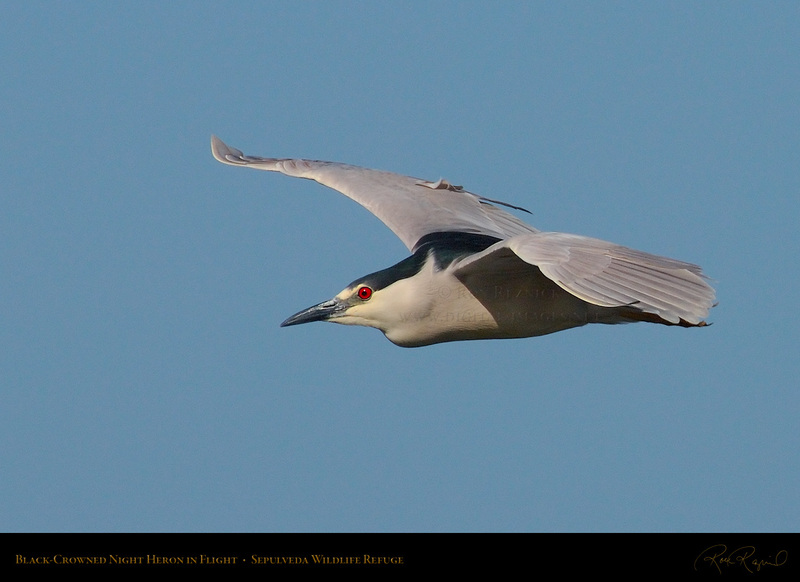 A Black-Crowned Night Heron in flight, taken at eye level. In my experience, it is rare to see BCN Herons in daylight flight. waning light after sunset at Sepulveda Wildlife Refuge. breasts, and the juveniles are streaked brown and grayish-white all over their bodies. As previously mentioned, it is quite rare to see a Black-Crowned Night Heron in daylight flight. Sepulveda Wildlife Refuge in January, just as the lowering sun was settling down on the horizon. The two images above and the two below are from Flight Study composites which were taken 10 minutes apart. The consecutive images above were taken with the sun just above the horizon. 1/8 second separates the images. 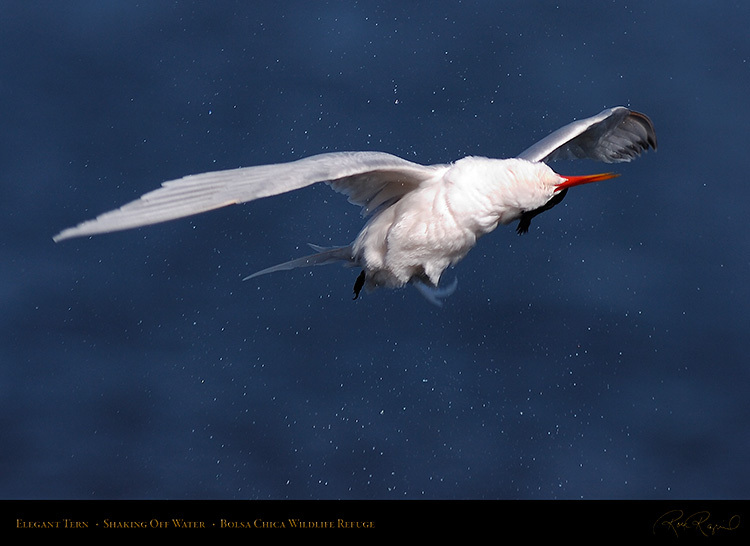 The two below are the first and last images in Flight Study 2 (XL), taken 0.4 sec. apart with the sun on the horizon. 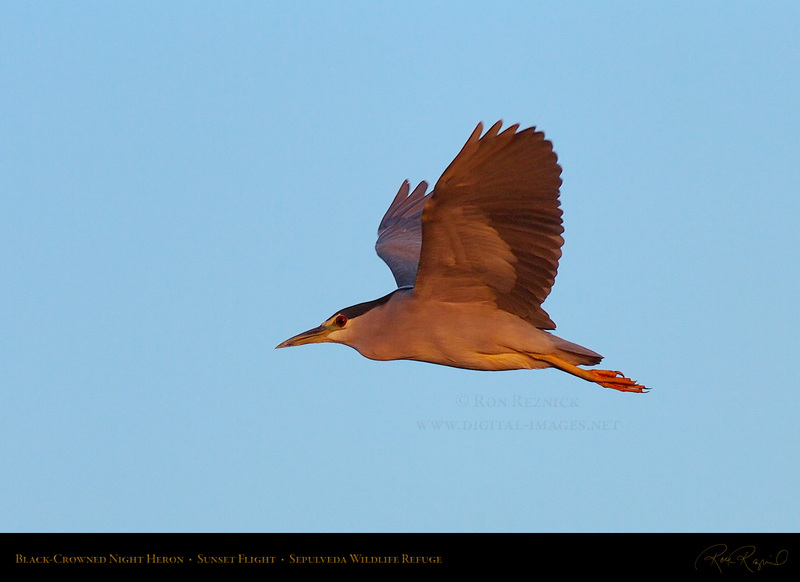 a Black-Crowned Night Heron in flight at sunset over Sepulveda Wildlife Refuge. 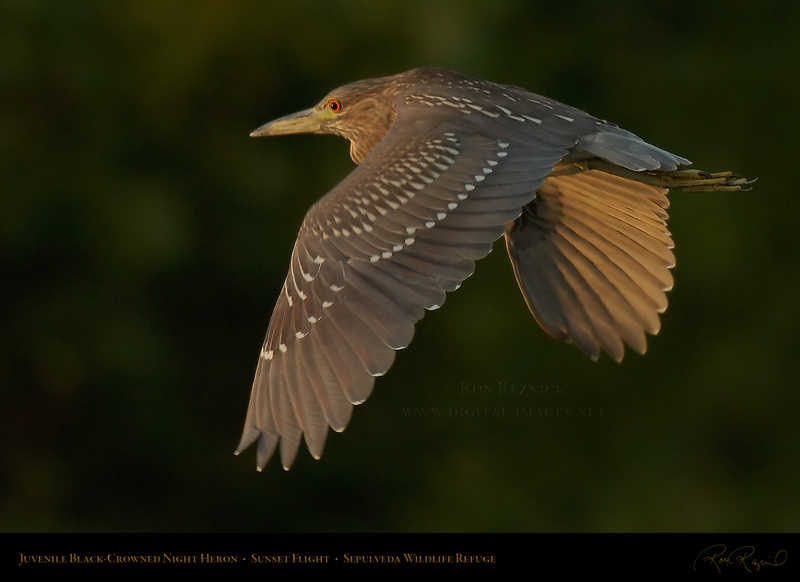 long rays of the lowering sun painted the Heron in a beautiful reddish-gold light. 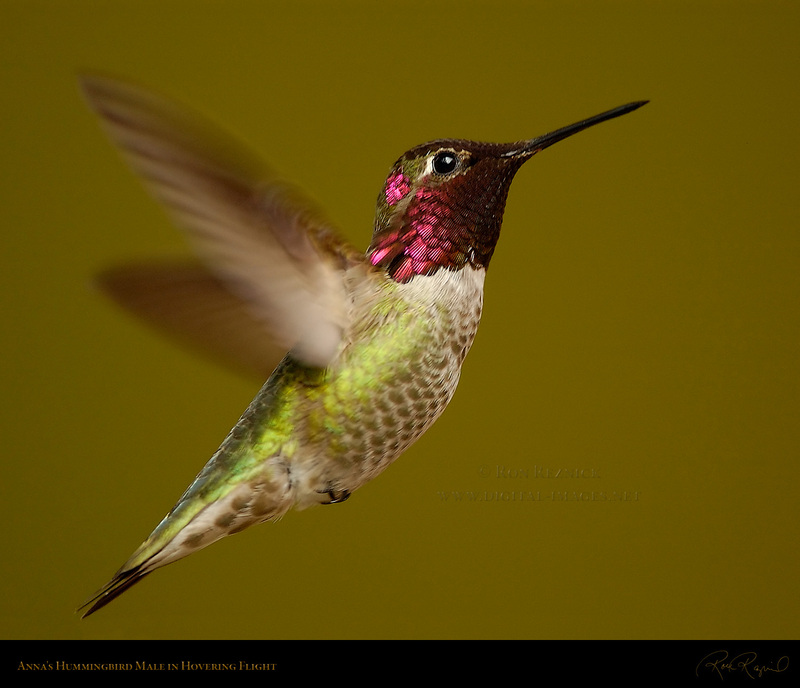 There is also a six image, SXL version of this flight study available (7500 x 1725). 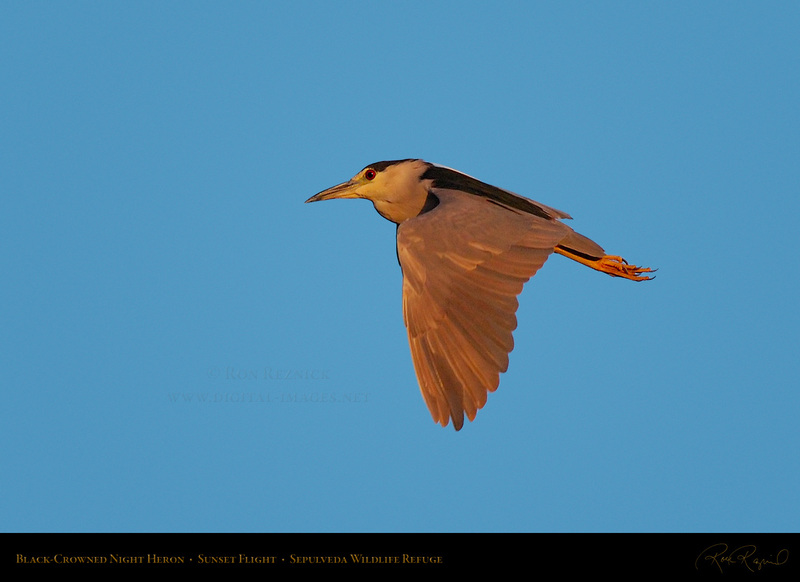 the Black-Crowned Night Heron in flight at sunset over Sepulveda Wildlife Refuge. The images for this composite were taken 10 minutes later, with the sun on the horizon. Due to the lower light, I pushed the exposure to bring out wing detail, thus the lighter sky. 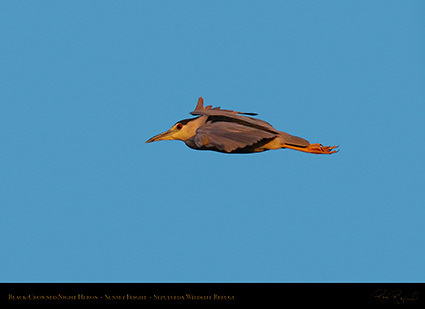 There is also an eight image, XXL version of this flight study available (10000 x 1925). Black-Crowned Night Herons are detailed in the Egrets and Herons Wildlife Study. 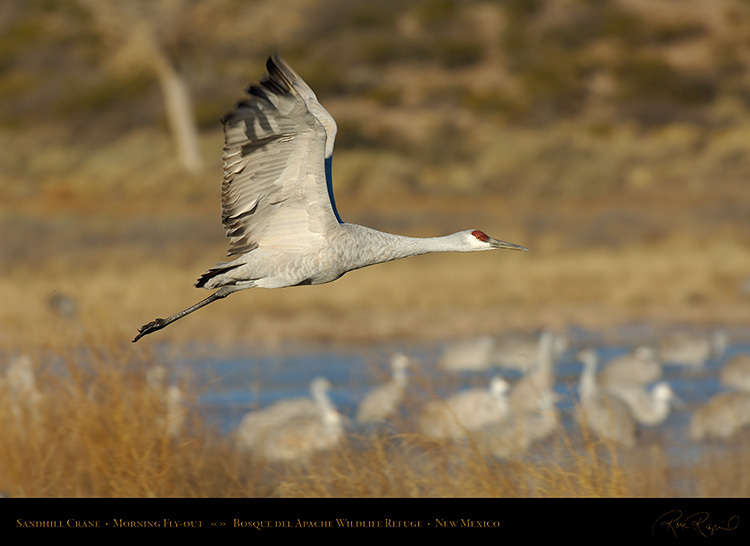 A close-portrait of a Great Blue Heron in flight, taken at Bosque del Apache on a cold December morning. 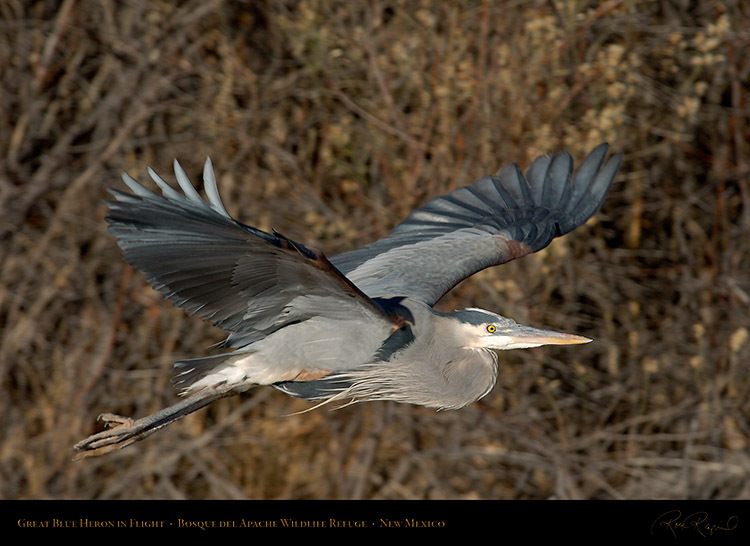 The Great Blue Heron, like many Egrets and Herons, bends its neck in flight to tuck its head in close to the body. are prolific hunters of fish, although they also eat insects, rodents, amphibians and small birds. 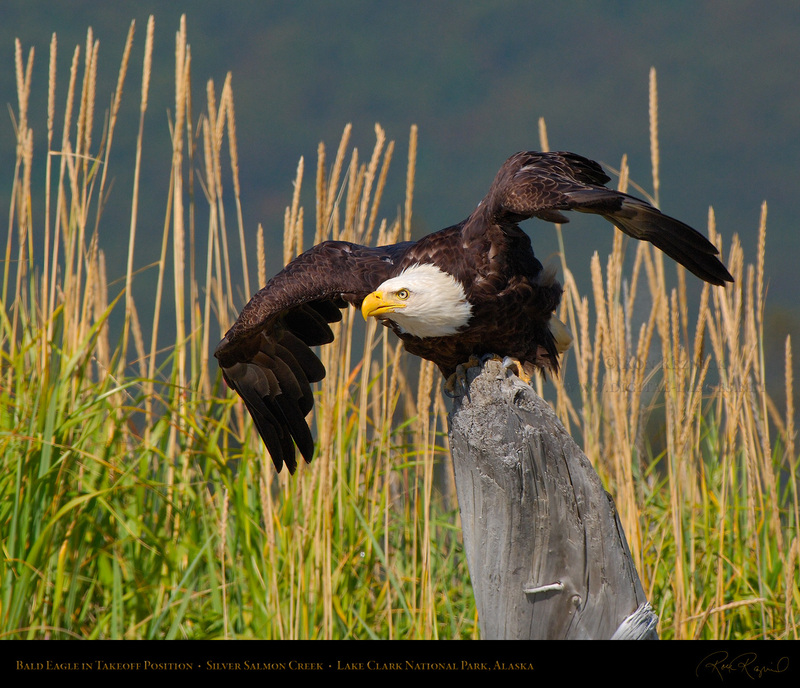 plumes at the base of their neck and on the lower back in the breeding season. 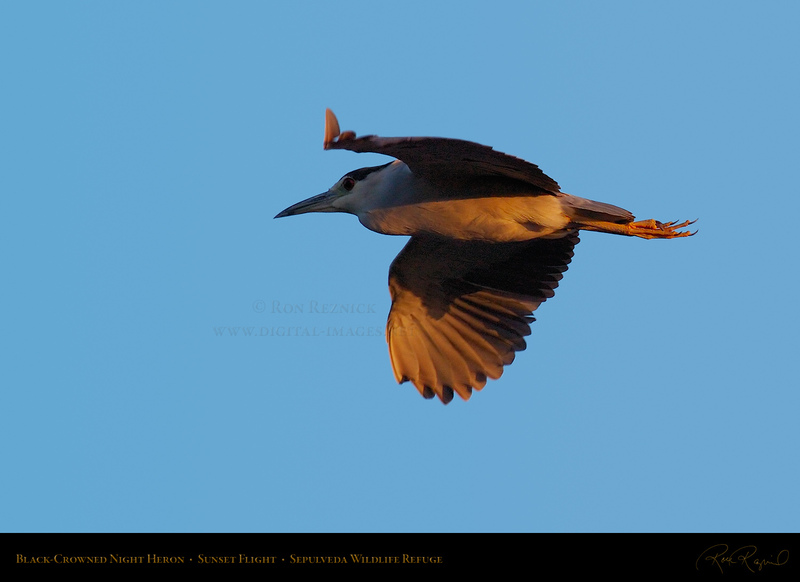 Great Blue Herons are detailed in the Egrets and Herons Wildlife Study, on the Blue Herons page. 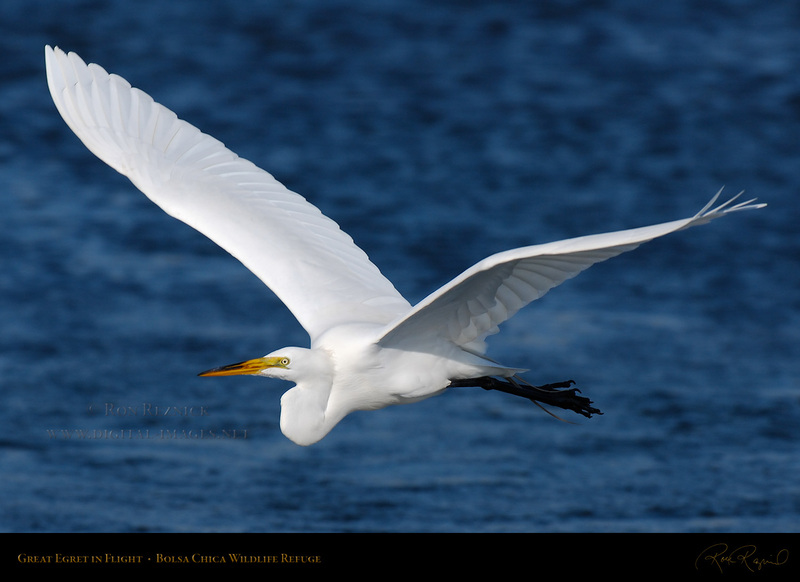 A Great Egret in flight over the Main Canal at Bolsa Chica wetlands, with a very attractive wing position. 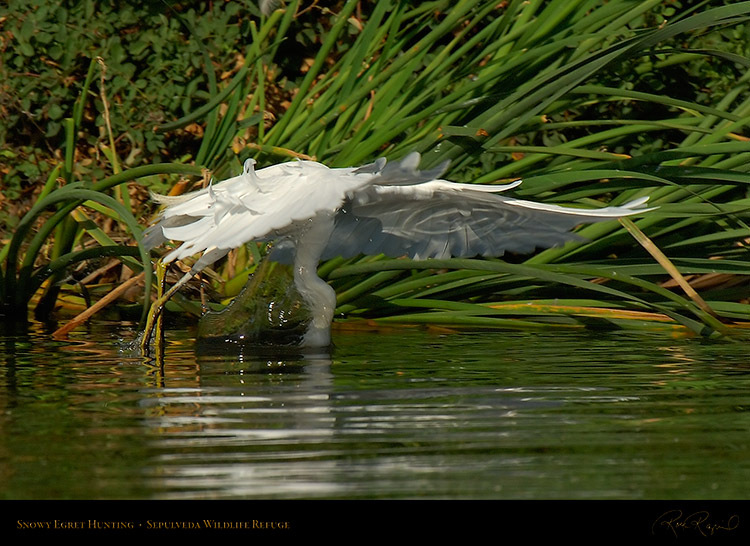 Egrets and Herons, Great Egrets take off with their neck extended and fly with their neck retracted in an S-shape. 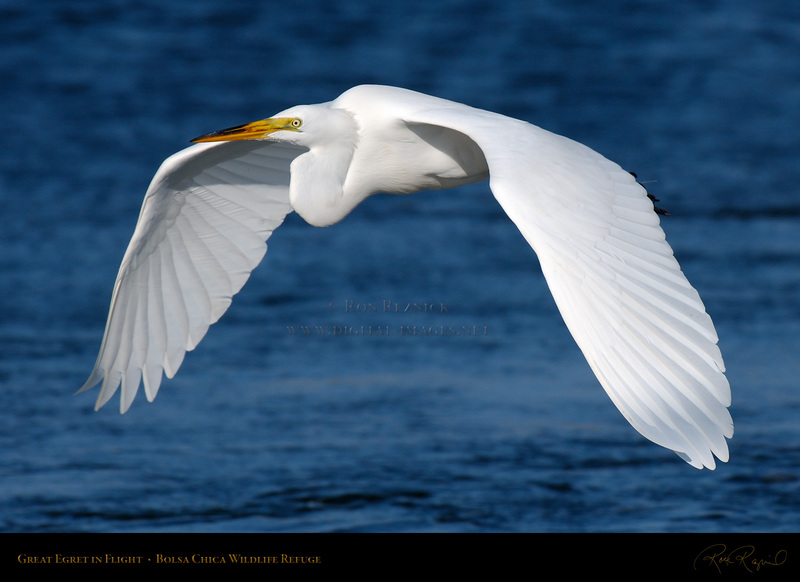 This is my favorite Great Egret flight shot. I love the wing position and detail. 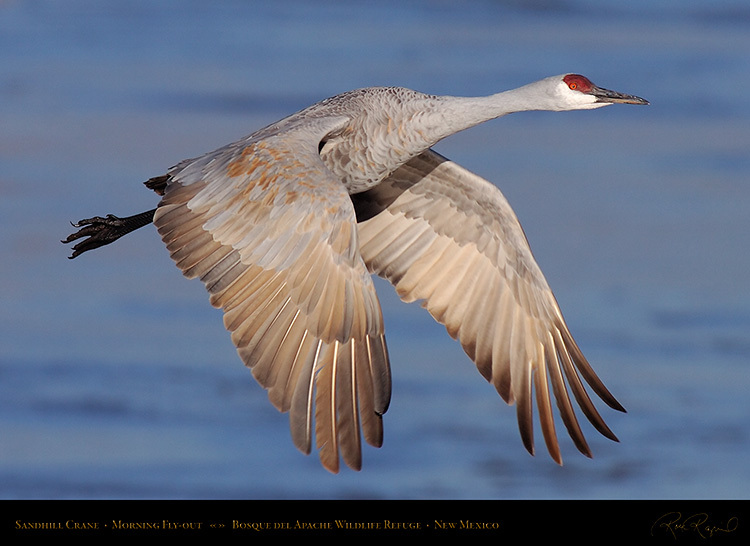 This is the image I use for the copyright and contact clip on the Wildlife pages. 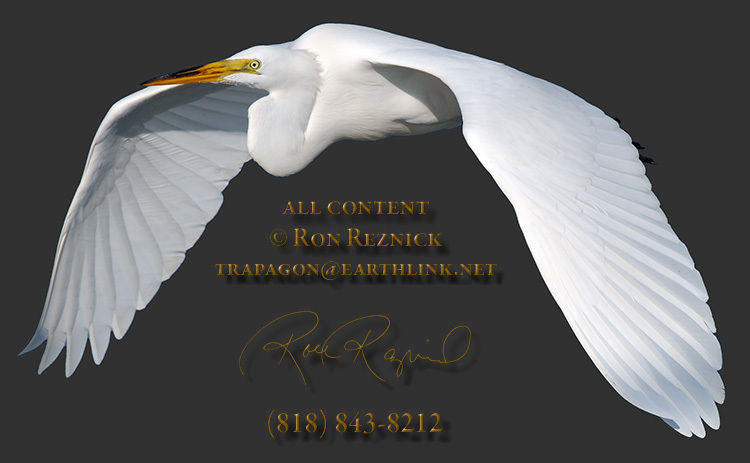 More images are in the Egrets and Herons Wildlife Study and on the Bolsa Chica Egrets page. 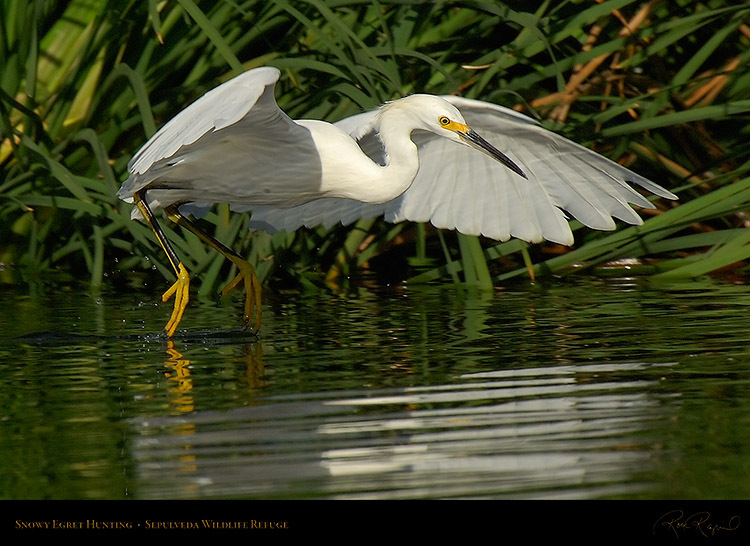 Note the interesting reflection pattern underneath the wing of this Snowy Egret striking in flight. 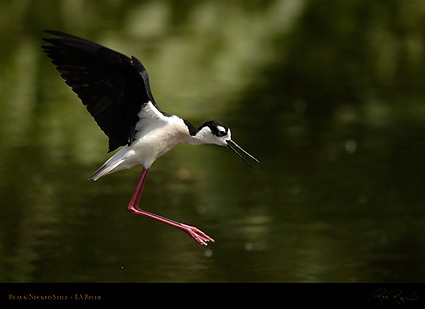 over the water, nearly hovering, and struck its prey while in flight in a technique known as “dip-fishing”. A Snowy Egret hovers over the water in a spectacular foraging technique. More of the Snowy Egret dip-fishing images are in the Snowy Egret study. black, yellow-green, or black-and-yellow-green legs, and yellow or yellow-green feet. breeding season they grow long white plumes and the feet and lores turn a red-gold. 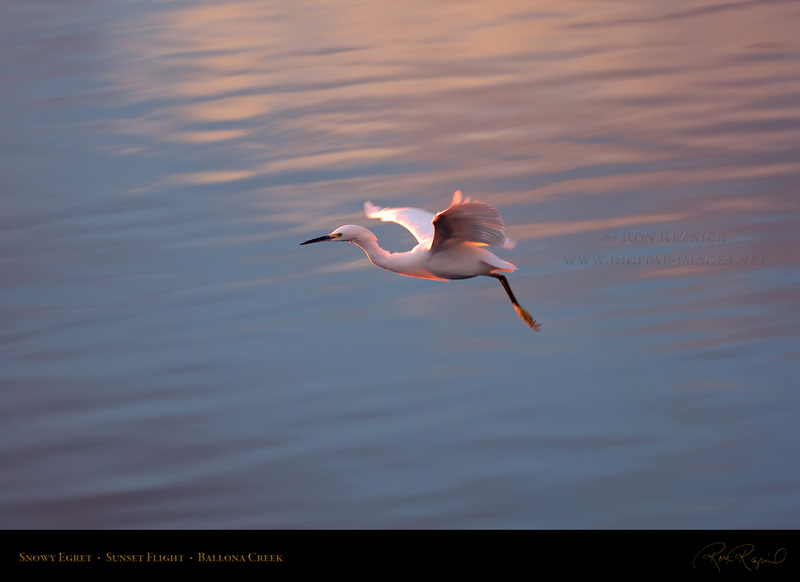 A Snowy Egret floats across Ballona Creek in absolutely magnificent light at sunset. and in the Bolsa Chica, Sanibel Island, Florida and Sepulveda Wildlife Refuge sections. several wing positions of a Roseate Spoonbill in flight over Sanibel Island, Florida. like the Flamingo. It eats crustaceans, aquatic insects, frogs, newts and small fish. and a long, thin upturned black bill which frequents wetlands and coastlines of North and South America. They are all white below, and have a continuous area of black from the crown down the neck to the back. They have white eyebrows and red eyes. Males have a greenish gloss to the back in breeding season. 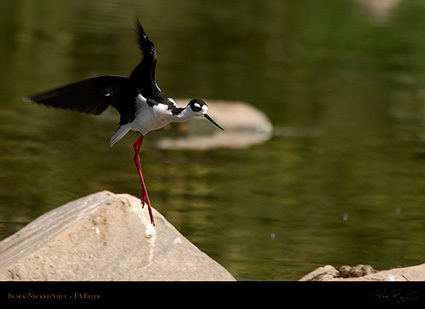 They use their long bill to probe in mudflats and in shallow water for invertebrates and crustaceans. 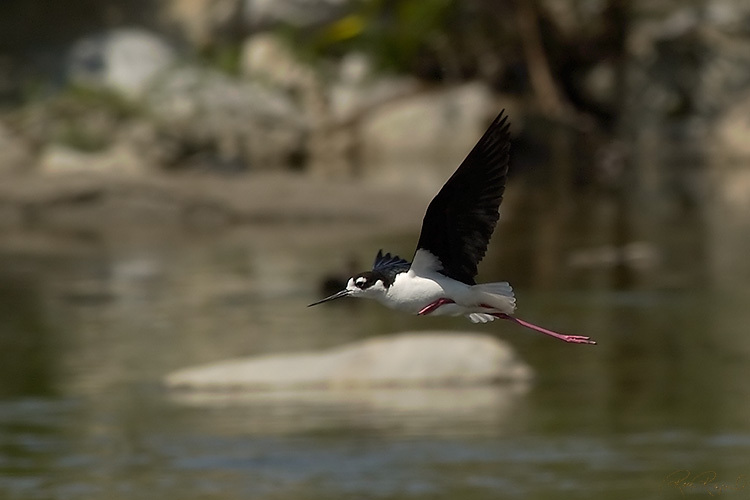 Black-Necked Stilts preparing to land at the LA River. More images can be seen in the Bolsa Chica section. the winner of the third heat displaying his winning form as he approaches the finish line. 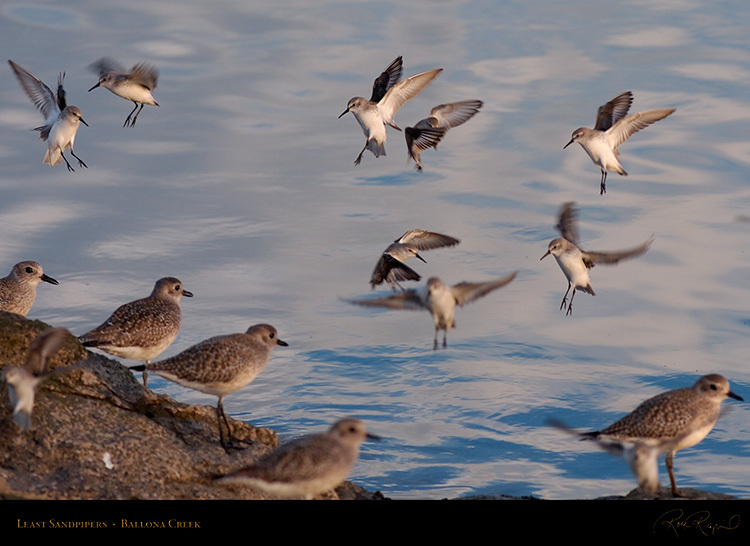 A group of Least Sandpipers flies in to join some Black-Bellied Plovers on the rocks beside Ballona Creek. in grassy areas, and crustaceans, mollusks and marine worms on mud flats and shorelines. More images of Least Sandpipers in flight and other shorebirds are displayed in the Bolsa Chica section. 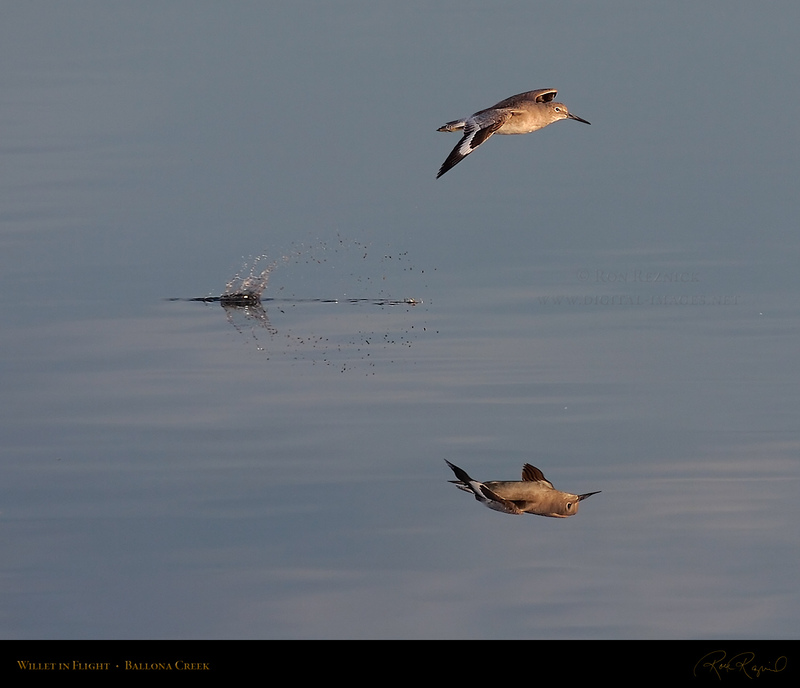 came from, the Willet lightened the load just before I took this shot. More on the Bolsa Chica Shorebirds page. 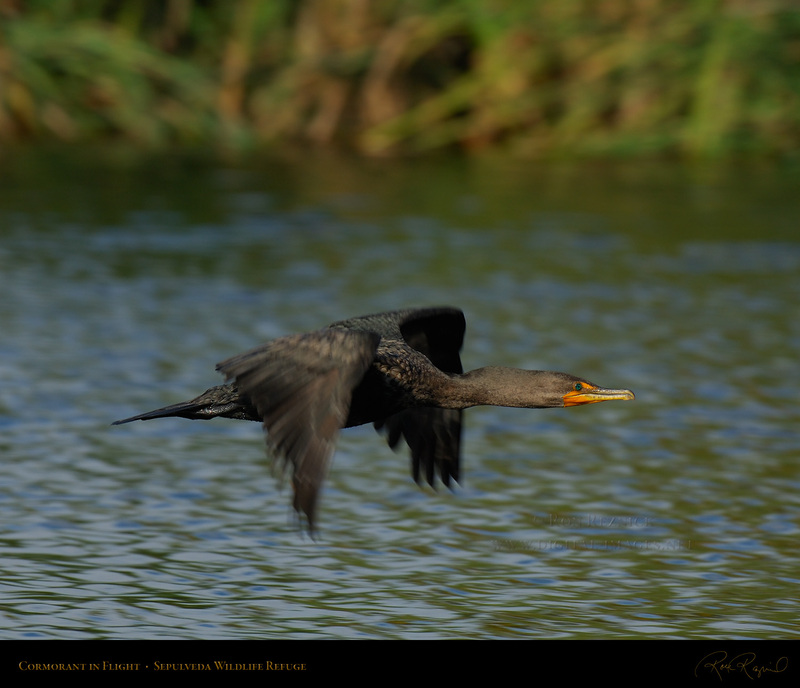 images of a Double-Crested Cormorant in flight at sunset, taken at Sepulveda Wildlife Refuge. together perfectly, the result is a rare, properly-exposed and sharp flight sequence as in the image above. The Double-Crested Cormorant is a large stocky seabird with a long neck, webbed feet and a hooked bill. some birds grow the long white feathery nuptial crests which gave this species its common name. A Double-Crested Cormorant soars over the pond at Sepulveda Wildlife Refuge in September. 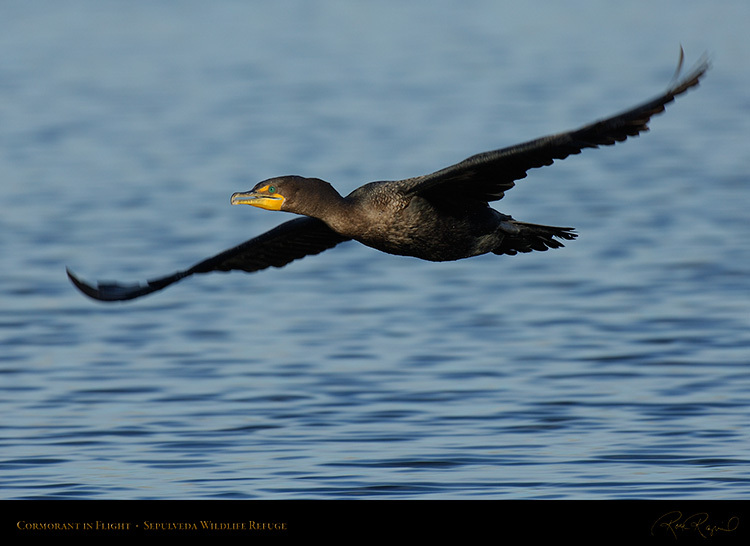 A Double-Crested Cormorant in flight, late in the afternoon in September. The dark blue-green waters of the pond make this shot extremely difficult. panning with the fast-moving bird as it blazes by you at the speed of light. 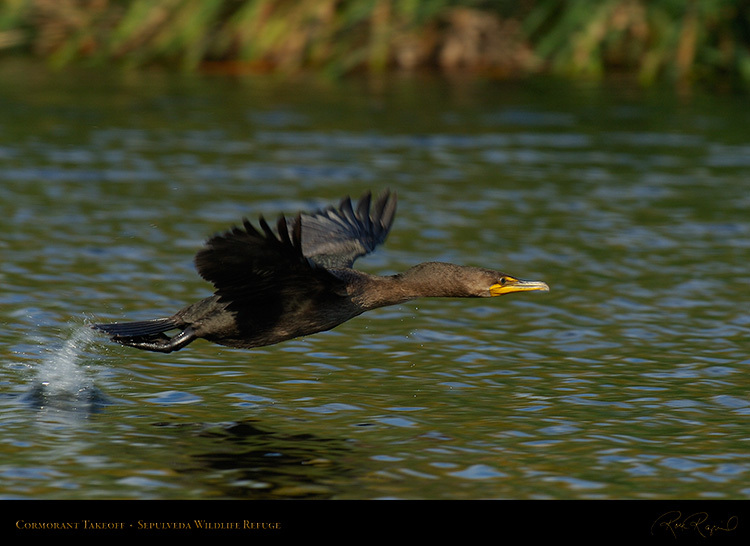 An absolutely perfect shot of a Cormorant in flight at Sepulveda Wildlife Refuge. Note the bright green eye. rather than across the field of view, and locking focus is difficult against a dark background. A Double-Crested Cormorant thrusts off of the water during a takeoff at Sepulveda Wildlife Refuge. 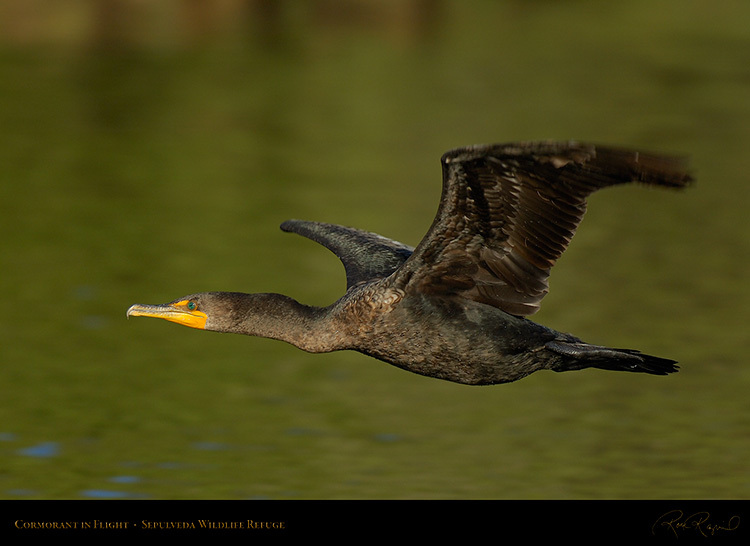 Cormorants often have to hop on the water using their webbed feet while gaining takeoff speed. is easily overexposed, and underexposing to protect the bill risks loss of feather detail and color saturation. 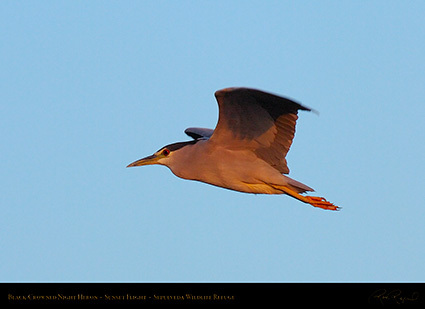 on the Sepulveda Wildlife Refuge page, and in the Bolsa Chica and Florida sections. over Bosque del Apache Wildlife Refuge in New Mexico. Note the dark body, central wing and shoulder. The upper side of the tail feathers of all Red-Tails are brick red, the underside of the tail is red-orange. 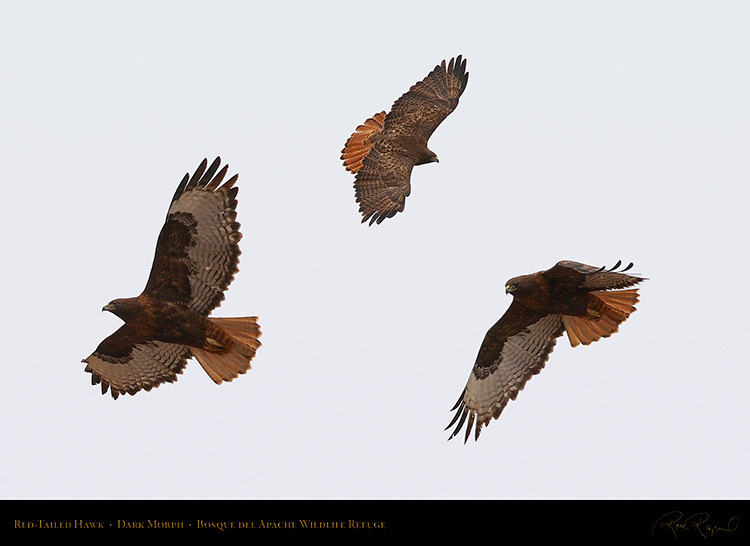 More images and flight study composites of Dark morph Red-Tails are in the Raptors Wildlife Study. 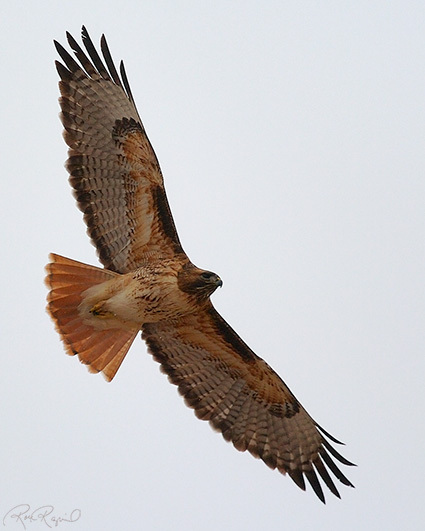 One of the most widely-known of the Raptors (birds of prey) is the Red-Tailed Hawk. 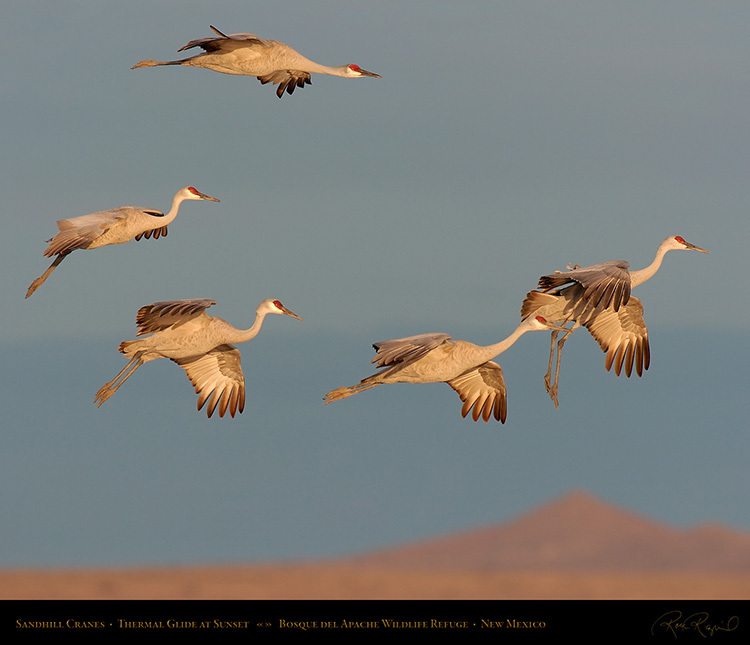 majority of flight shots show the bird as a distant speck, even with long lenses. 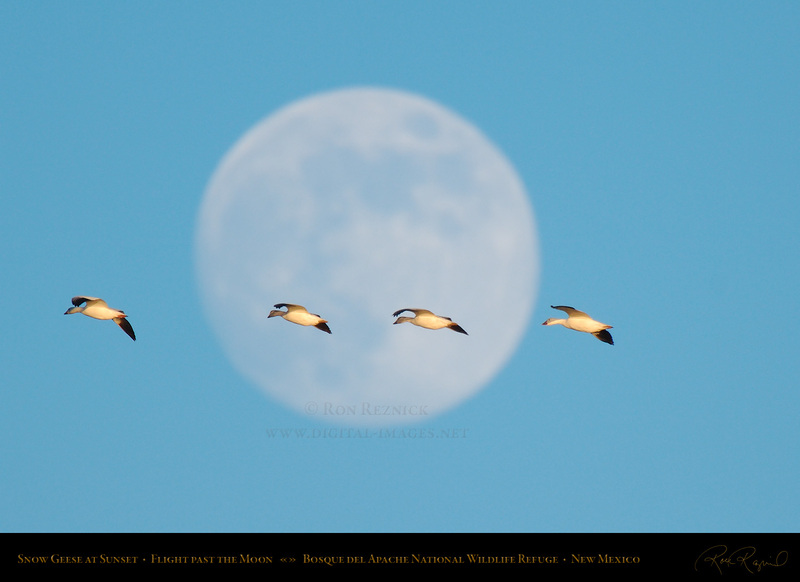 Many of these shots were taken at 700-850 mm, although the composite was taken at 420 mm. Intermediate morph Red-Tailed Hawks in flight over Bosque del Apache Wildlife Refuge. and shoulder markings can be narrower. 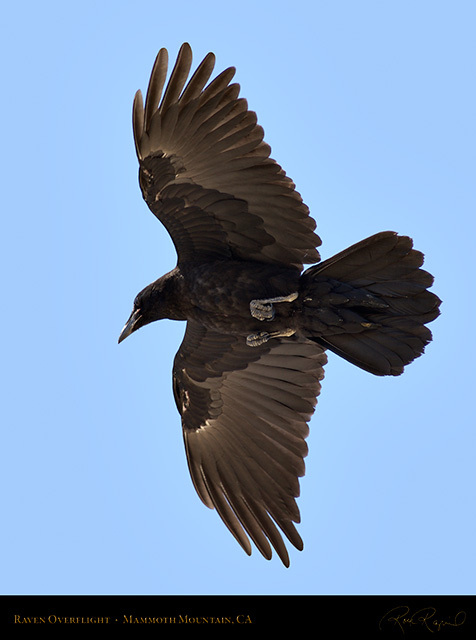 The Dark morph has a dark body and central wing. 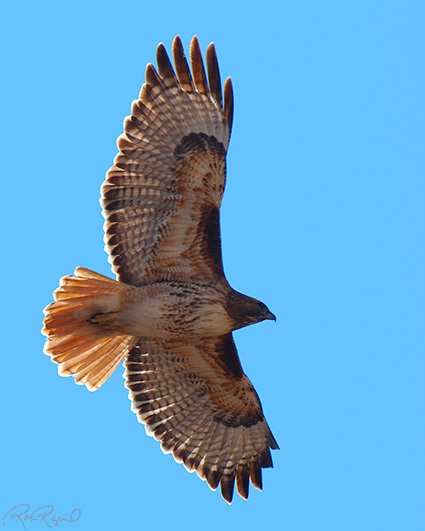 An Intermediate Rufous morph juvenile Red-Tailed Hawk. 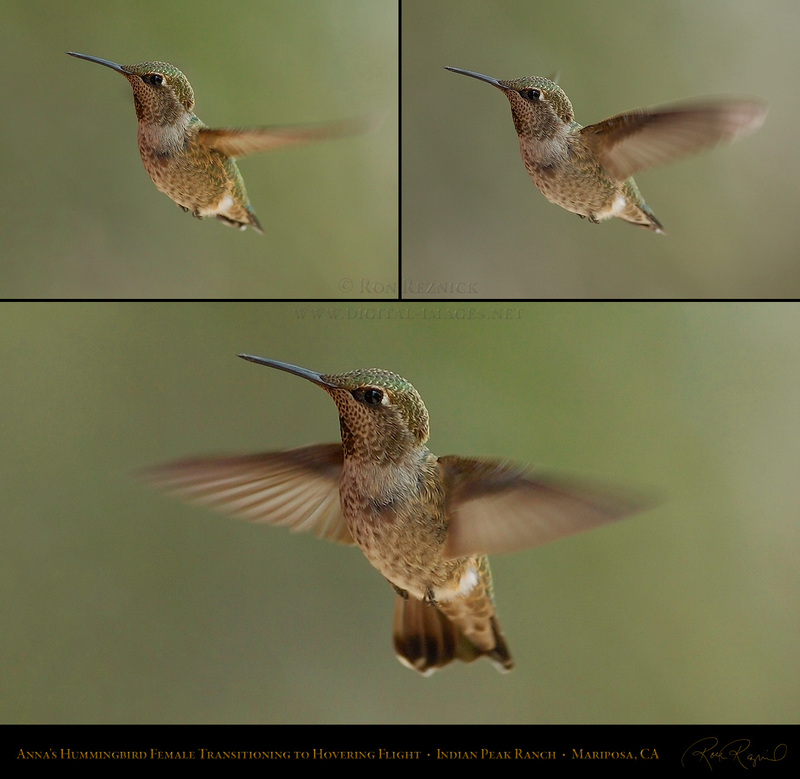 This shot was taken at the Sepulveda Wildlife Refuge. A Light morph juvenile Harlan’s Red-Tailed Hawk in flight over Grand Tetons National Park in Wyoming. reddish tones of the bird at right identify it as a Light morph Harlan’s Hawk, a rare type from the Northern US. 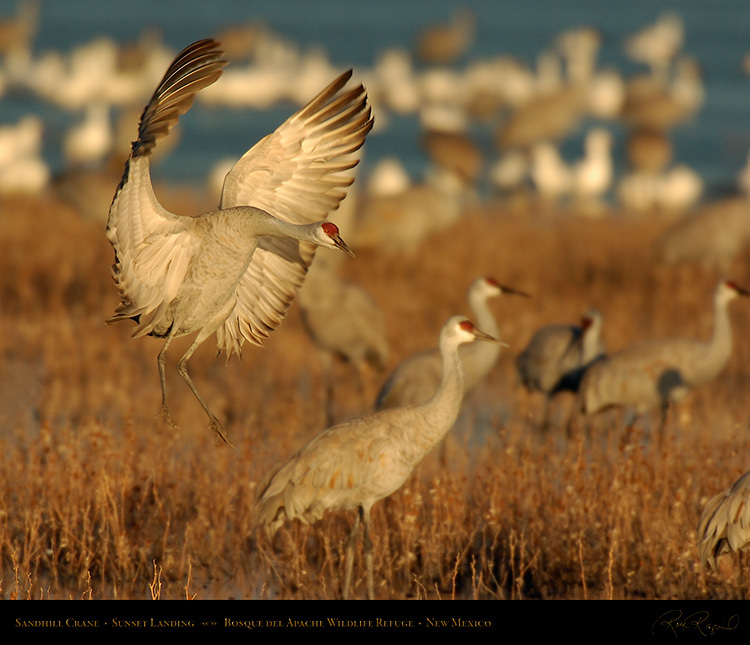 to their plumage, and Intermediate as a description of darker Light morph individuals. A Dark juvenile Rufous morph Red-Tailed Hawk carrying two sticks over Newport Back Bay. 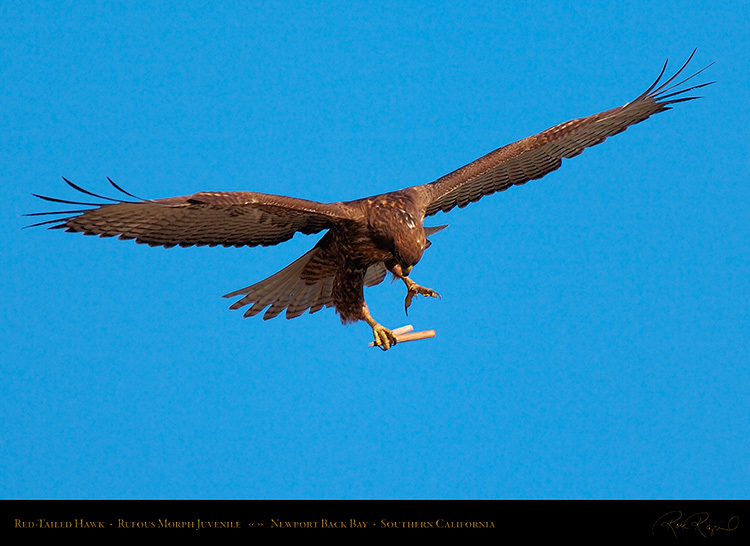 A Dark juvenile Rufous morph Red-Tailed Hawk, now carrying one stick over Newport Back Bay. Note the uniformly dark rufous body, with the mottled feathers and the barred tail of the juvenile Red-Tail. 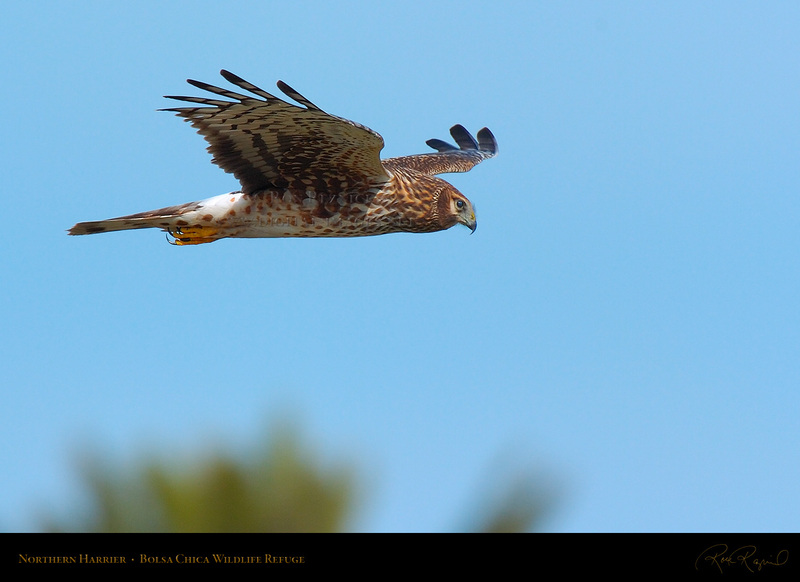 More flight shots and portraits of this hawk can be seen in the Raptors Study and the Bolsa Chica section. 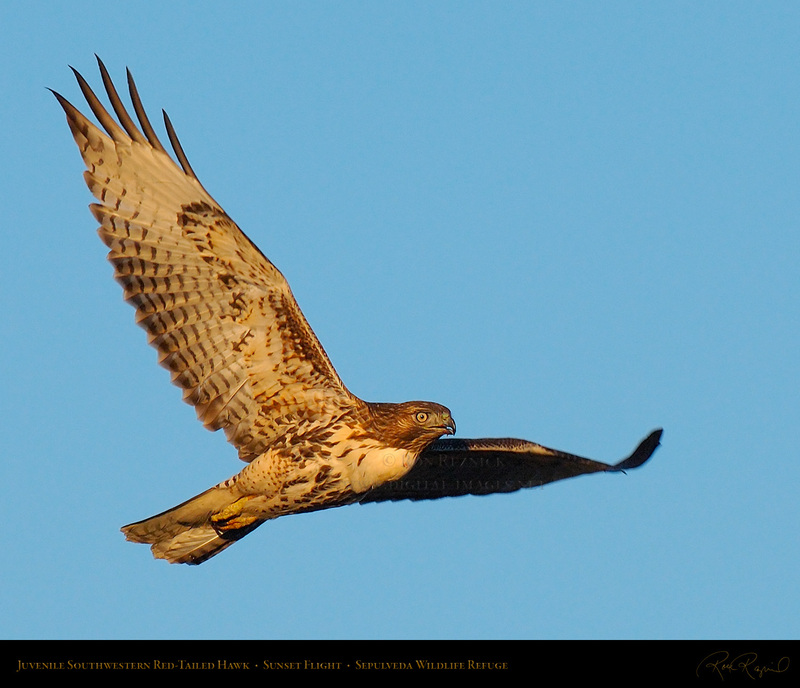 Upper wing detail of a Light-Intermediate morph juvenile Southwestern Red-Tail at sunset. Light-Intermediate morph juvenile Southwestern Red-Tail over Sepulveda Wildlife Refuge at sunset. 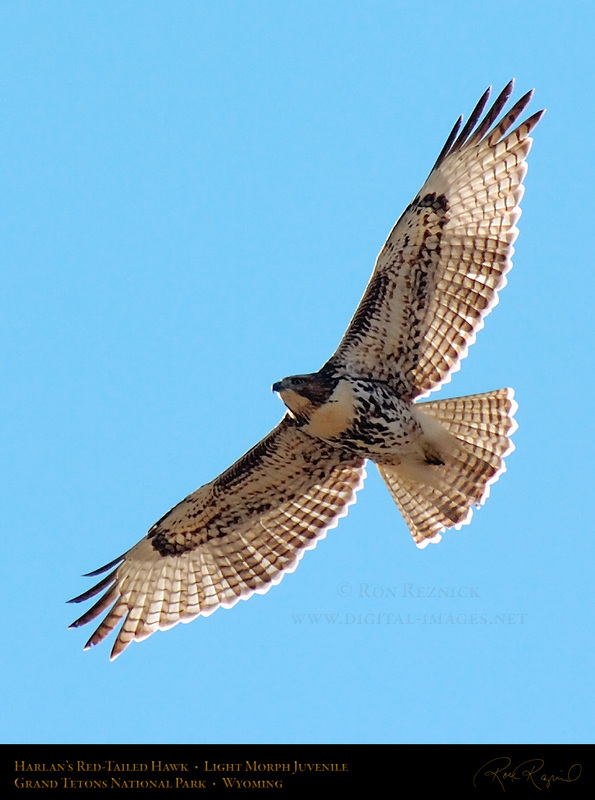 Note the sparser shoulder and central wing markings compared to Intermediate morph hawks above. Florida sections, the Bosque del Apache and Alaska sections, and the Sepulveda Wildlife Refuge page. 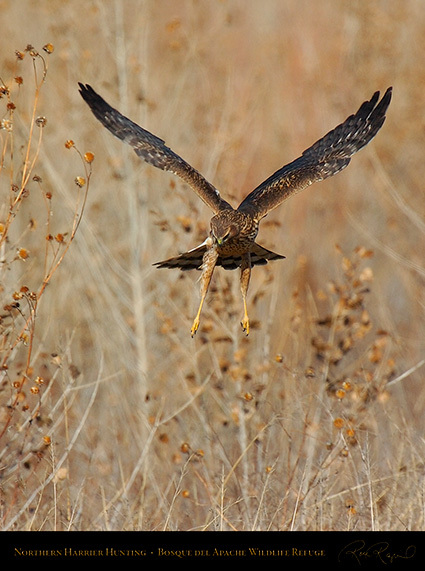 An adult female Northern Harrier, or Marsh Hawk, in flight over the Main Canal at Bolsa Chica. 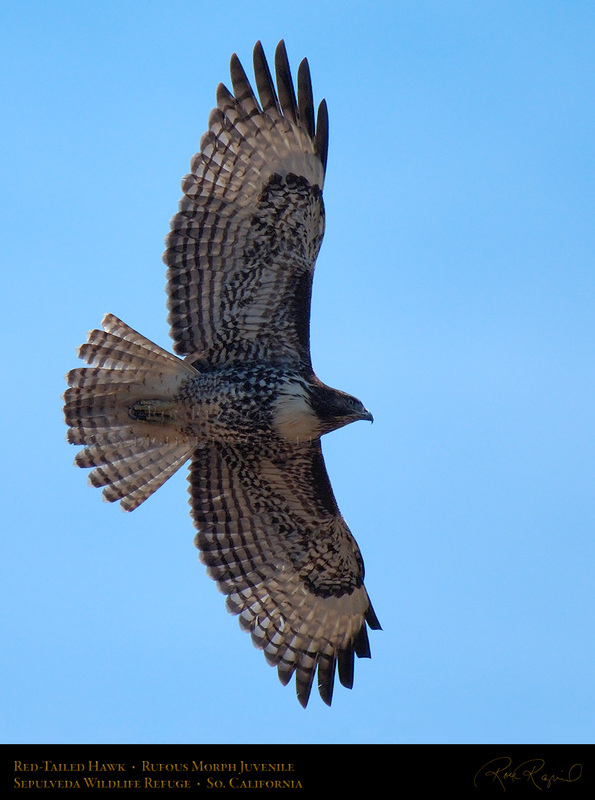 One of few raptors in which the sexes look very different, males are white below and gray above. They primarily hunt for small rodents (squirrels, mice and voles). Males sometimes take small birds. been known to take ducks and rabbits, which they then drown by holding them underwater. A Northern Harrier female hunting over a field at Bosque del Apache Wildlife Refuge. 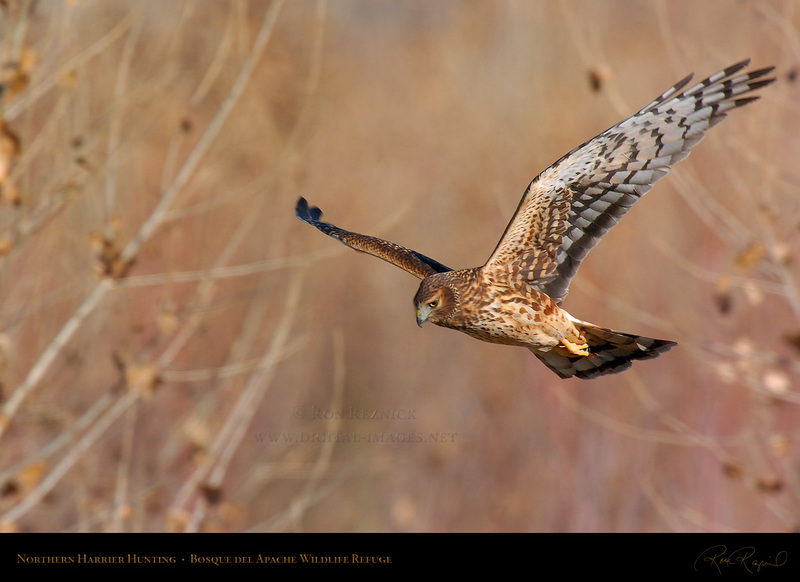 Northern Harriers can hover over a suspected rodent, listening for the skittering sound. It is a truly calm and unusual rodent who can stay hidden while a Harrier is hovering overhead. 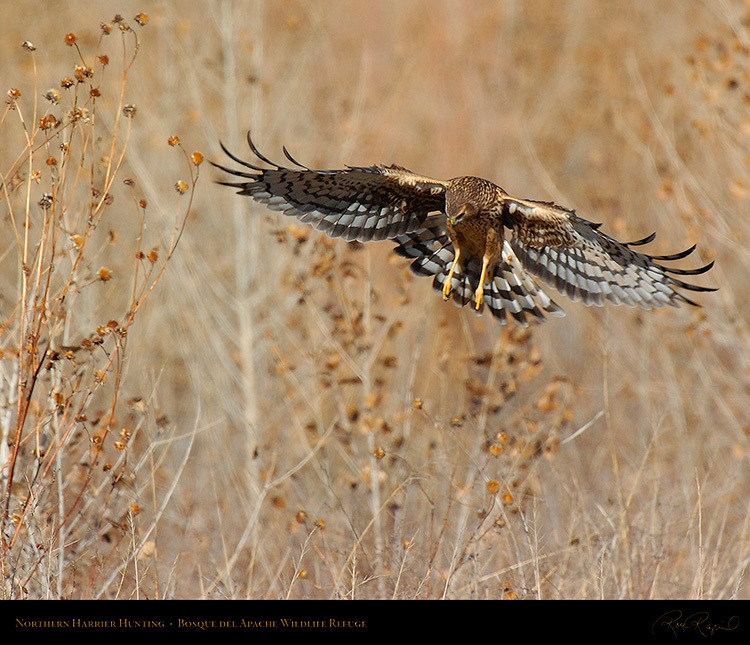 An adult female Northern Harrier stooping on a small rodent at Bosque del Apache Wildlife Refuge in December. This was a part of a hunting sequence taken in the late afternoon. A 12-image XXL composite (6015 x 3400) is available of this hunting sequence. More images of Northern Harriers and a preview version of the Hunting Sequence composite can be seen on the Raptors Wildlife Study and in the Bolsa Chica and Bosque del Apache sections. grip. Ospreys also have barbed pads on their feet to help them grip their slippery, wriggling prey. 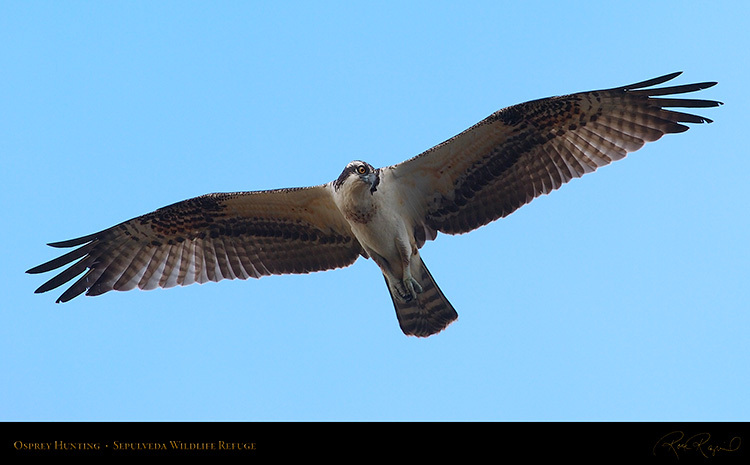 More Osprey are in the Raptors Study and the Sepulveda Wildlife Refuge and Florida sections. 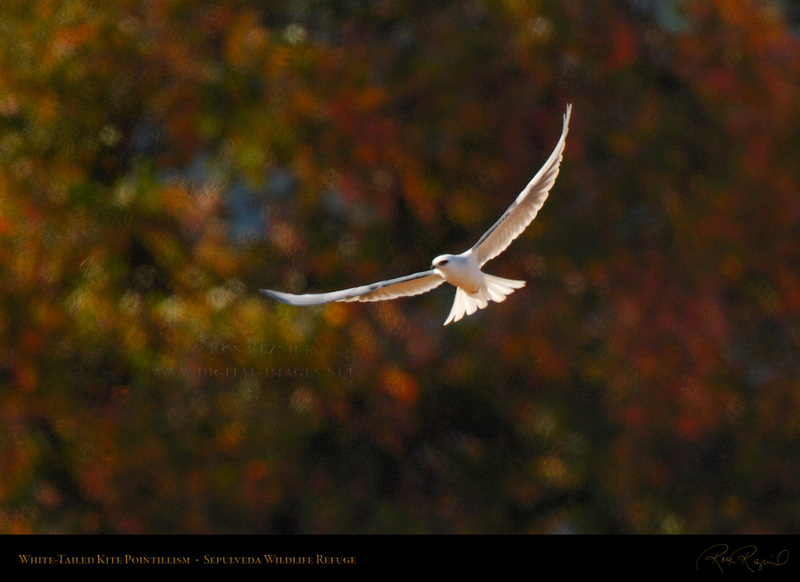 A White-Tailed Kite shot at Sepulveda Wildlife Refuge, soft-focused to create an Impressionistic effect. farmers who thought they threatened chickens, although Kites mostly eat rodents, lizards and insects. They have made a comeback in California and Texas, although they are rare outside of a few areas. for rodents, and can often be seen hovering over an area when they see something of interest. 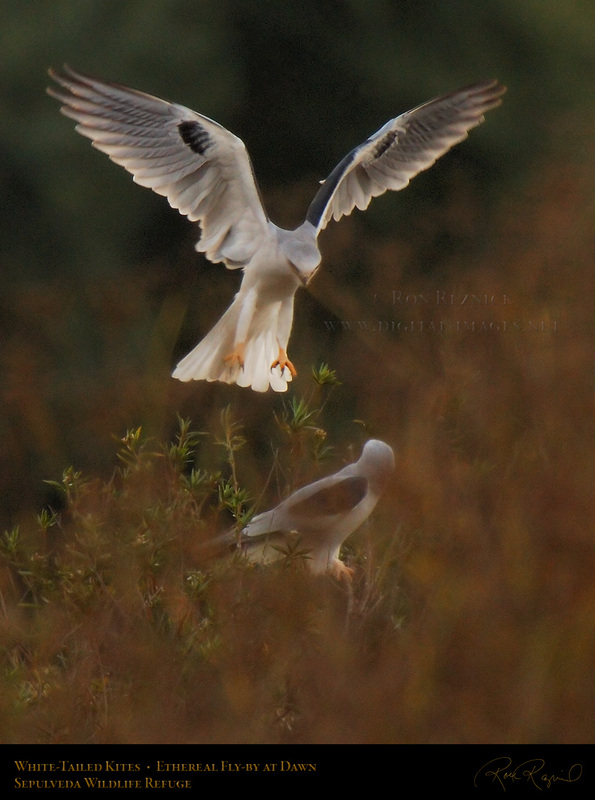 A mated pair of White-Tailed Kites shot in the morning and near sunset at Sepulveda Wildlife Refuge. This particular female seems to enjoy annoying the male by performing a close fly-by. Note the red eyes. A 1500 x 1190 version of the SXL composite (3610 x 2769) showing a hovering flight sequence. 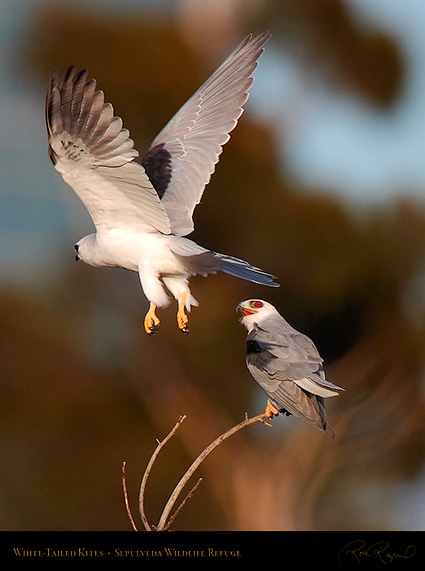 White-Tailed Kites dangle their feet in flight while hunting, although they retract them for level flight. While hunting, they exhibit a graceful, buoyant hovering flight. 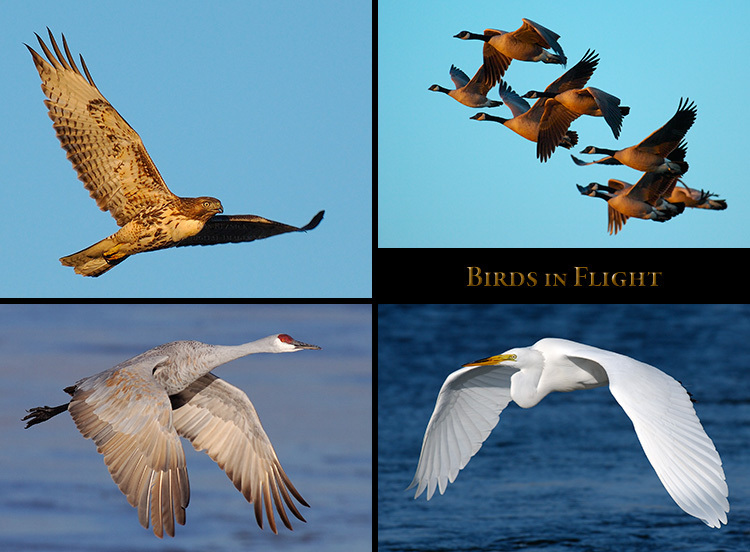 The toy kite was named for these birds. More White-Tailed Kites can be seen in the Raptors Wildlife Study. A Raven flying low overhead atop Mammoth Mountain in the Sierras. The air is thin at 11,000 feet, and the winds allowed the Raven to soar. which reveals feather detail without overexposing the sky is challenging. Alaska Peninsula, near Lake Clark National Park and the stratovolcano Mount Redoubt. of a head-on approach as they travel through the depth of field of a telephoto lens rapidly. 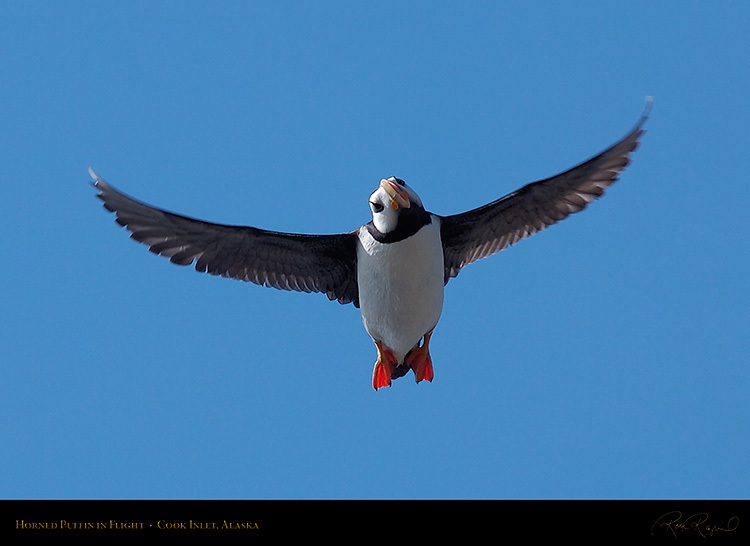 Horned Puffins are small pelagic auks which dive for fish and marine invertebrates. These clowns of the bird world are all white below with a black crown, collar and back. they blend into the dark water when seen from above and the bright sunlit water from below. bill ornament is shed in the winter and regrown for the breeding season. 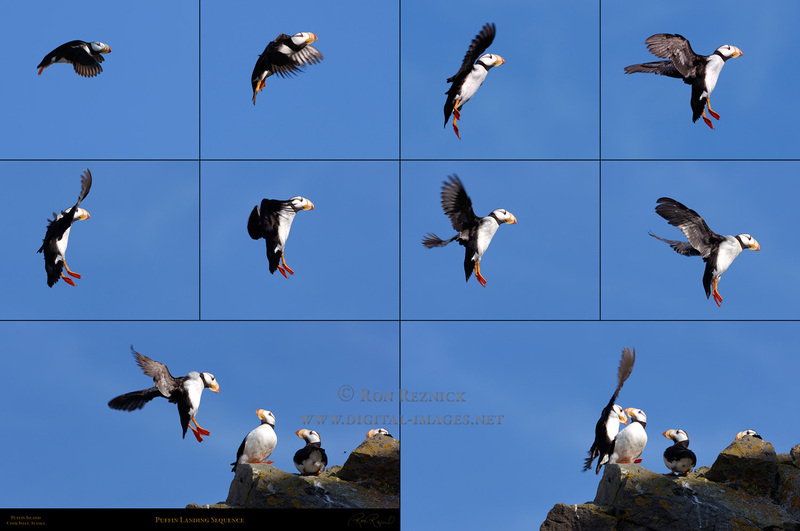 A Horned Puffin flying in for a landing on Duck Island with several fish held in its colorful bill. double row of backward-facing spines on the roof of its mouth. On average they carry 10 fish. 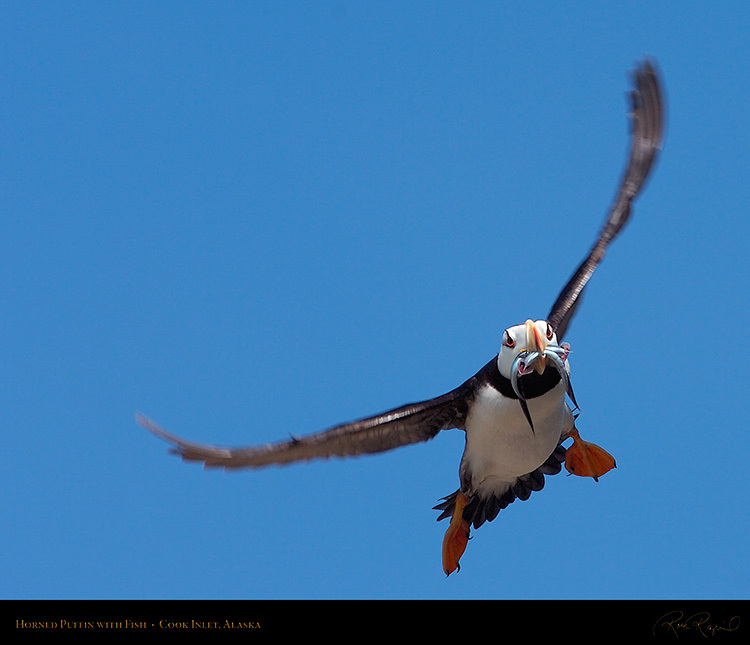 A Horned Puffin comes in for a landing near his colleagues on Duck Island in Cook Inlet, Alaska. but allows it to be an excellent swimmer which can dive up to 80 feet while searching for fish and squid. 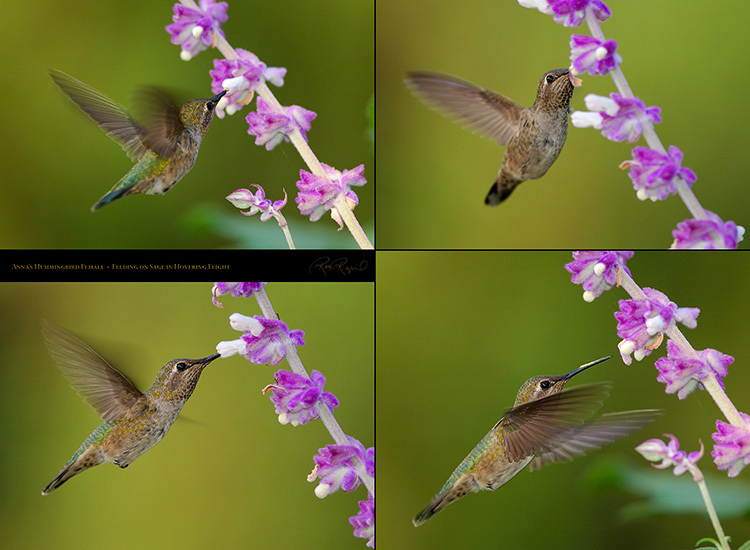 There is a 10-image XXL composite (5015 x 4310) of this landing available. 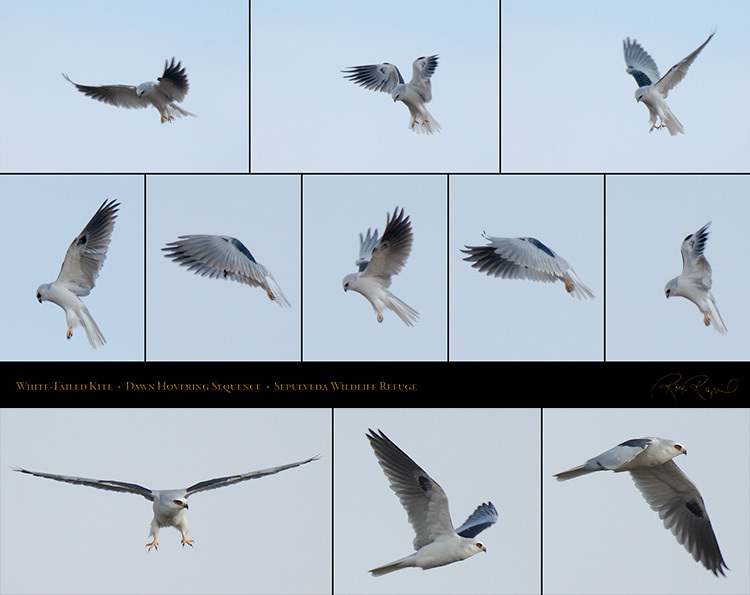 Click the link at right for a 1500 x 995 preview of the XXL composite. 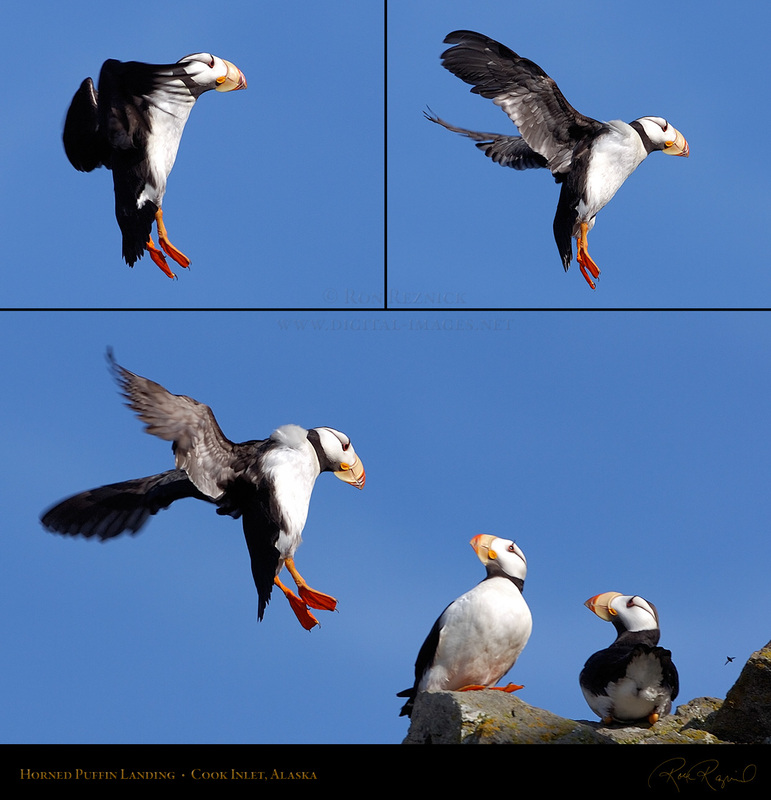 A detailed presentation of Puffins is in the Alaska section. 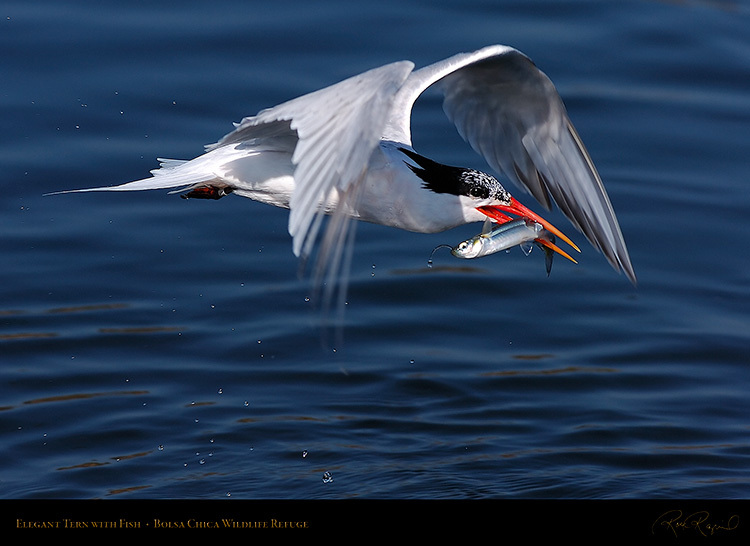 Speaking of seabirds carrying fish in their bill... here is a juvenile Elegant Tern carrying a spitting fish. 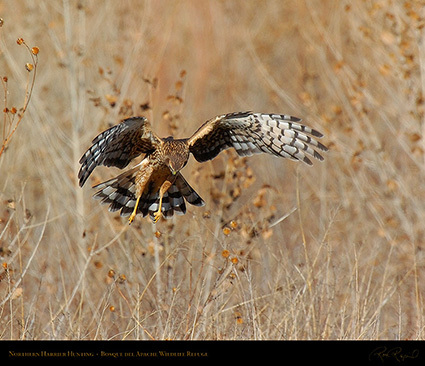 This image and the twisting flight shots below were taken at Bolsa Chica Wildlife Refuge in the spring. The Elegant Tern is a medium to large seabird which feeds by plunging into the ocean for fish. 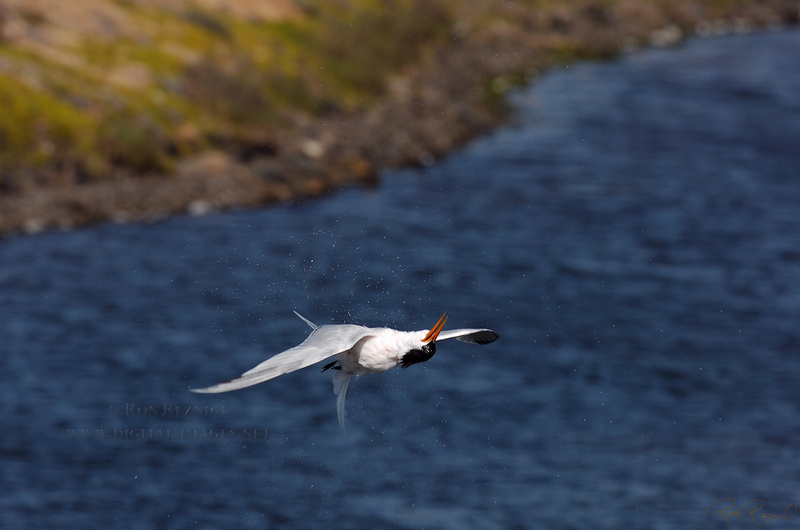 An Elegant Tern shaking off water after a takeoff. Shots like these are exceedingly difficult to capture. 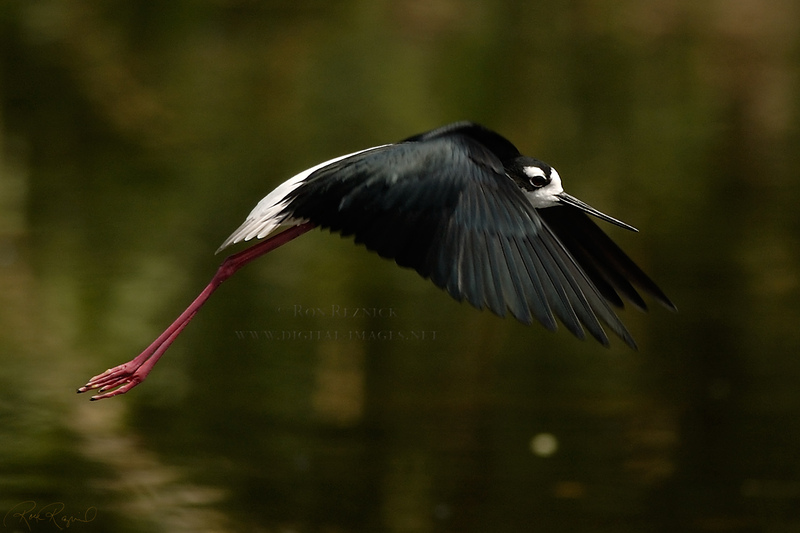 you have to react quickly to get the shot (often you see it happen on another bird out of the corner of your eye). This is a variation on the “Exorcist Twist”, but this bird has not yet mastered the move. Diagonally-opposed wings counterbalance the twist, but a true master keeps them level. 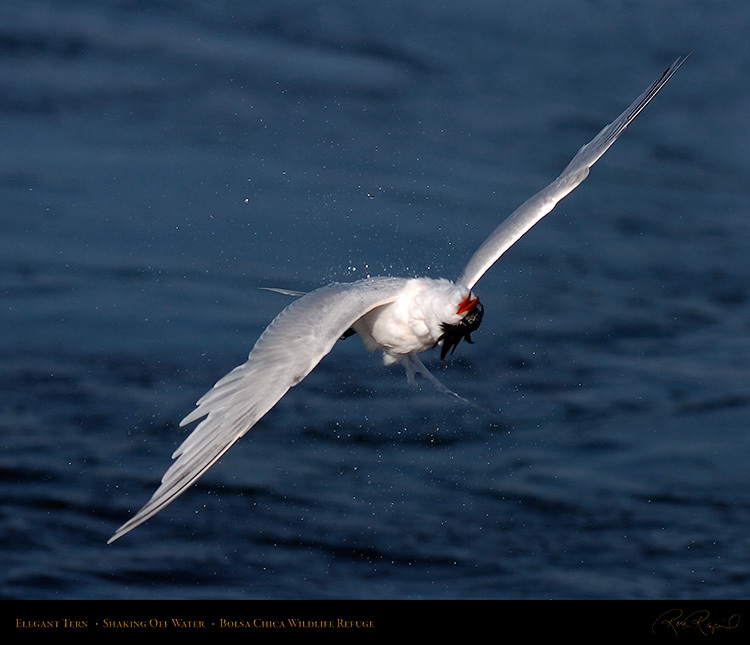 There is an entire page detailing Terns and their flight antics in the Bolsa Chica section, Terns page. A Brown Pelican in flight, taken head-on at Ballona Creek in Southern California. 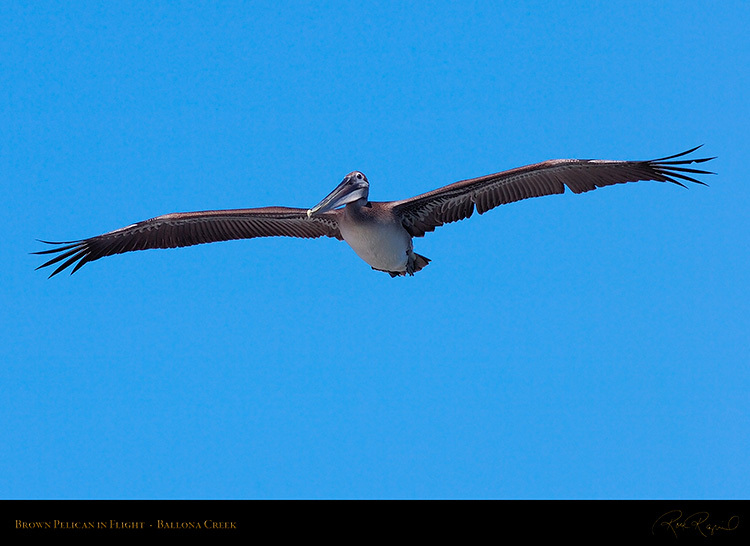 The Brown Pelican is very efficient at soaring on its wide wings (6 to 8 foot wingspan). The XXL Composite makes a spectacular 5 foot wide panoramic print. 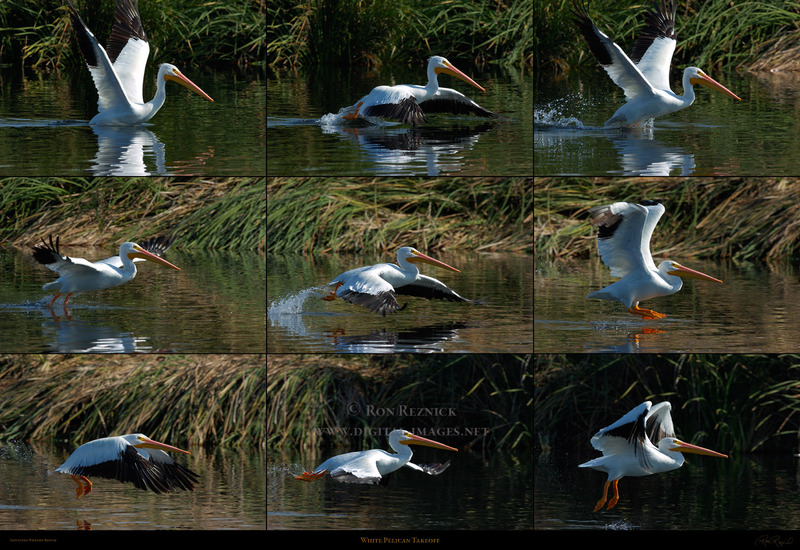 Each of these images are available separately, and several can be seen in the Bolsa Chica section. several wing positions of a Brown Pelican in flight over Sanibel Island, Florida. A composite image of a Brown Pelican in a hunting dive off Sanibel Island, Florida. of only two Pelicans which feeds by diving into the water. It is the smallest of the Pelicans. 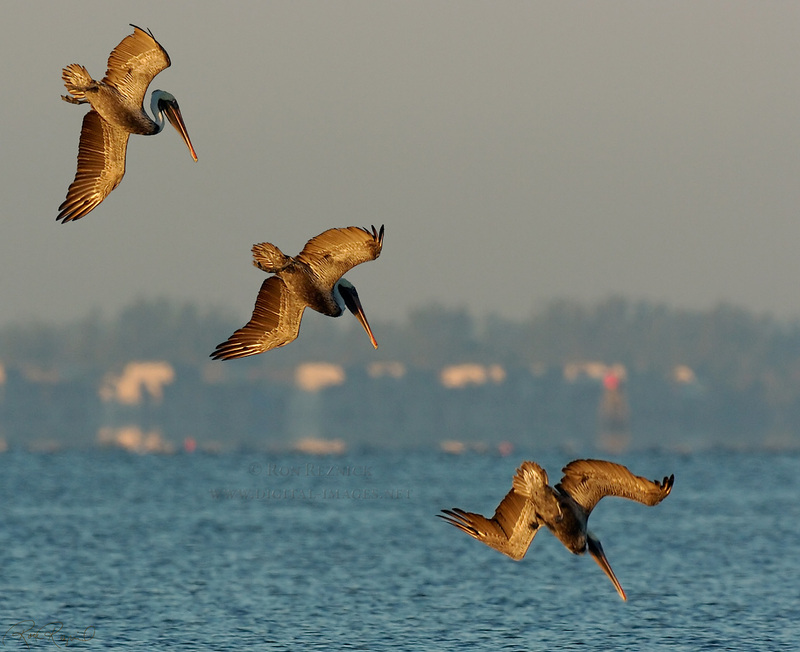 A Brown Pelican flies over a school of fish and dives to gather them in its large gular pouch. previously considered to be a subspecies of the Brown Pelican, but it is larger and twice its bulk. 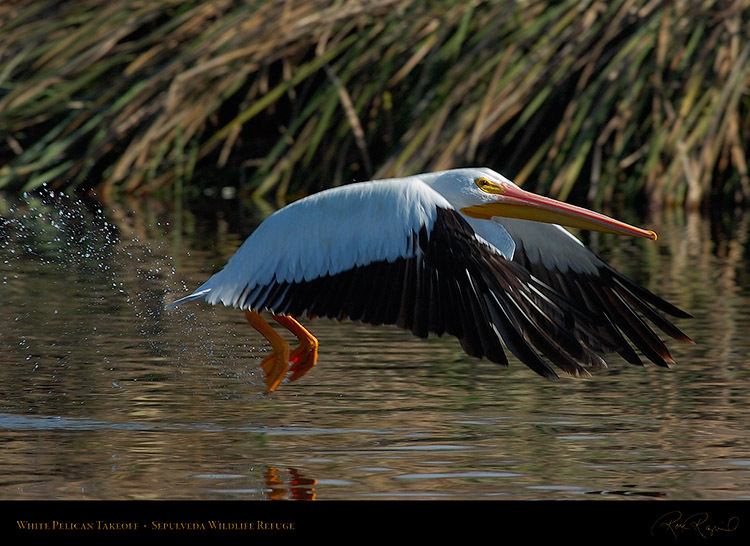 A White Pelican takes off in front of dark reeds at Sepulveda Wildlife Refuge. California Condor. 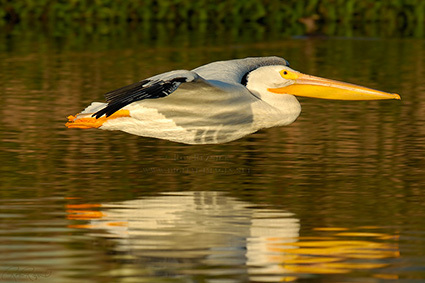 In breeding season, they grow a horn on their long bill, the only pelican which does this. 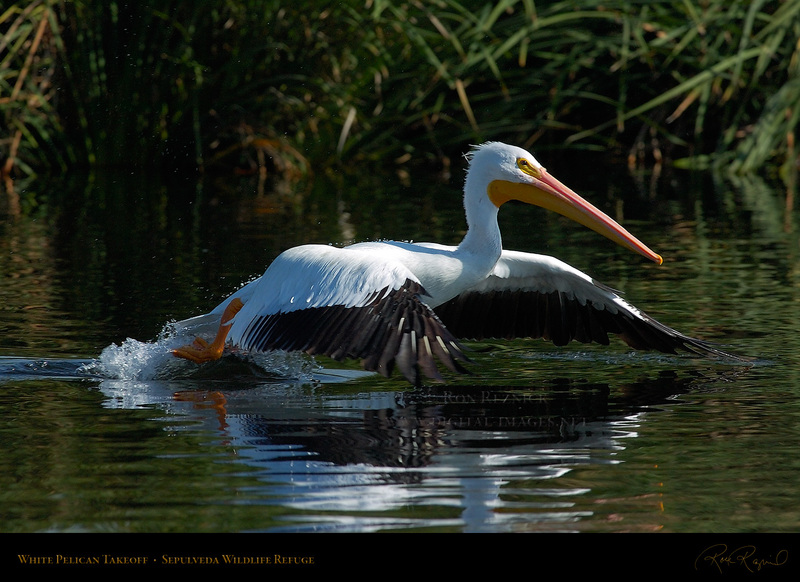 White Pelicans prefer to feed in groups by herding fish towards each other and feeding from the surface. A 9 image SXXL Composite (7412 x 5100) is available of this takeoff (click for a 1744 x 1200 preview). 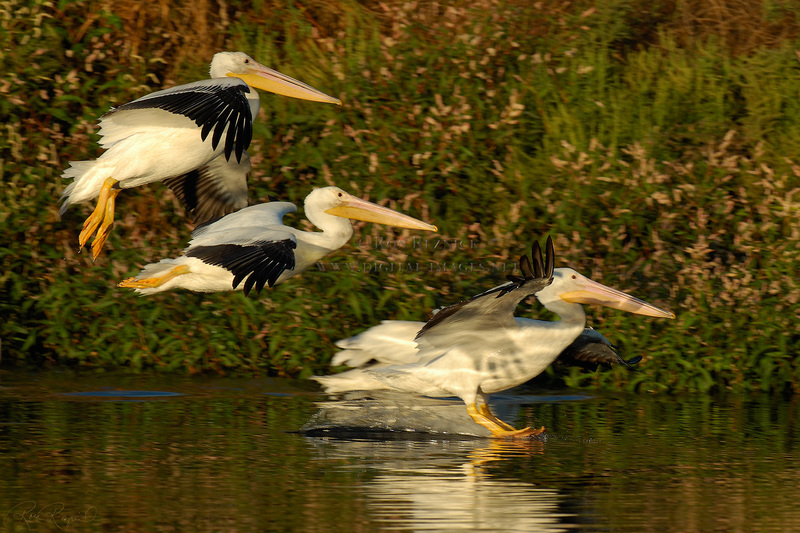 White Pelicans coming in for a sunset landing at Sepulveda Wildlife Refuge. 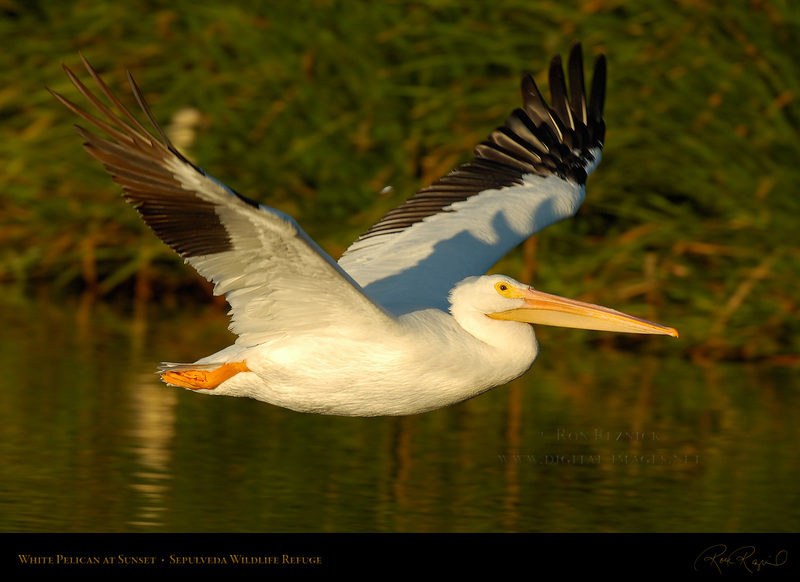 A close flight portrait of a White Pelican at sunset, taken at Sepulveda Wildlife Refuge. 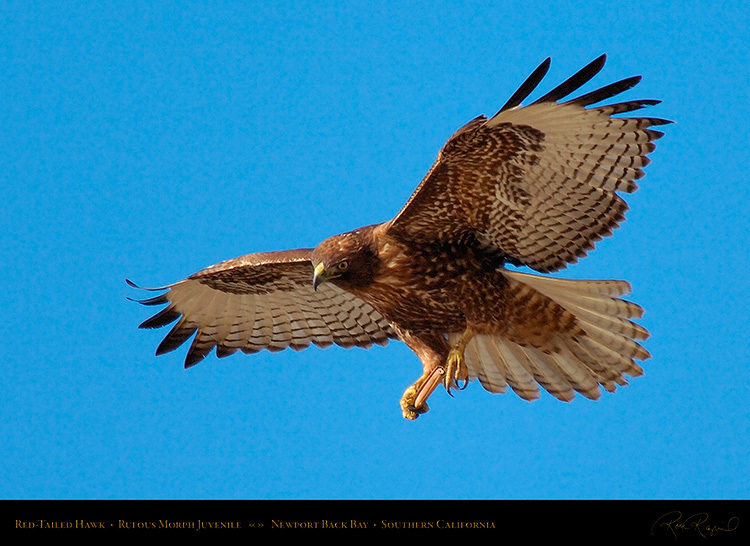 and in the Sepulveda Wildlife Refuge, Bolsa Chica, and Sanibel Island Florida sections. 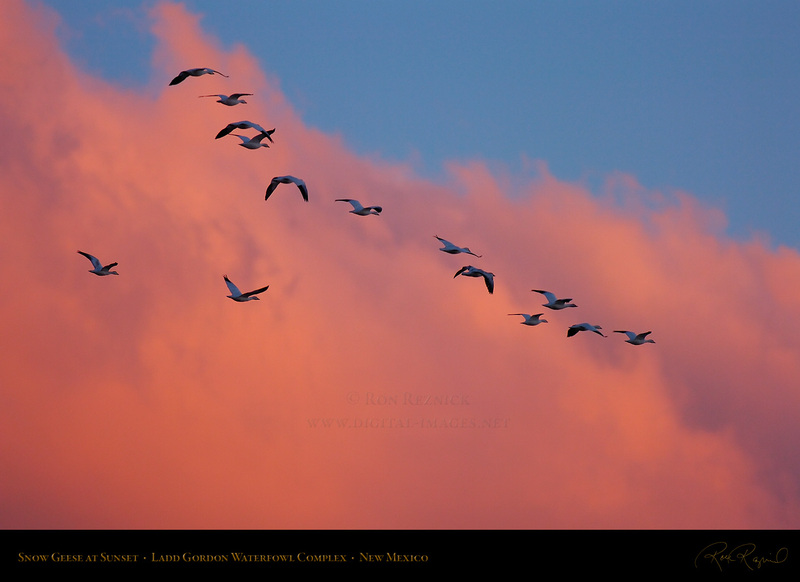 Canada Geese in flight at sunset over Sepulveda Wildlife Refuge. 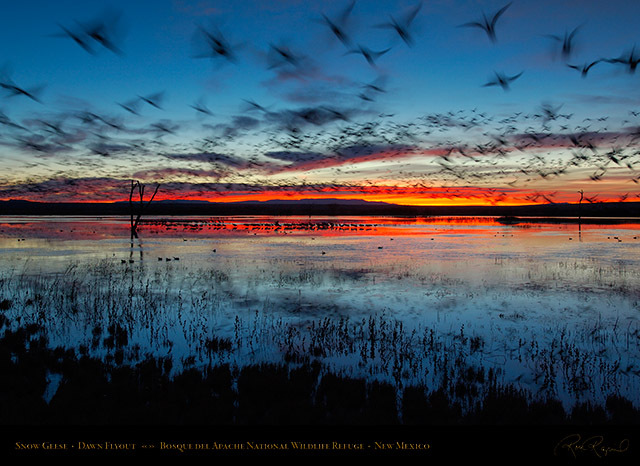 Ladd Gordon Waterfowl Complex, 50 miles north of Bosque del Apache. taken at 1/10 of a second to give the Geese a surrealistic appearance by blurring their shape. An overcast dawn sky filled with thousands of Snow Geese flying out to the fields. 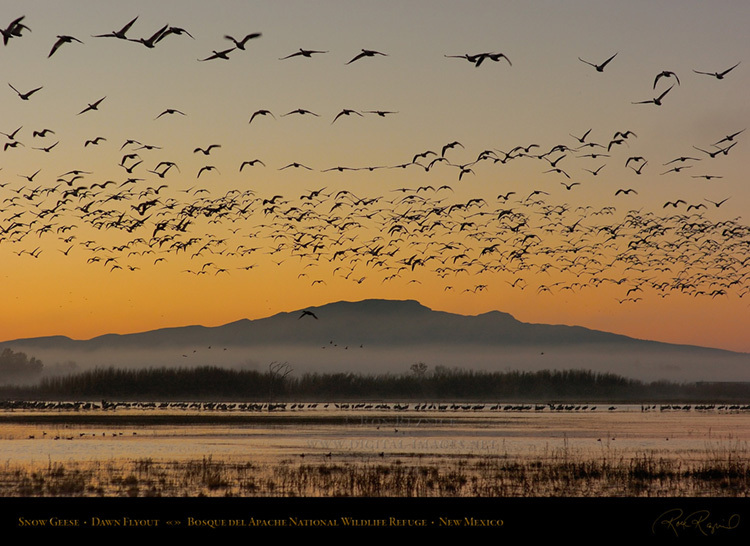 The morning flyout of the Snow Geese is one of Nature’s most spectacular scenes. madly honking gaggle of geese fly over each pool, they set off the group of geese below. just before that group breaks into flight to join them in their trip to the corn fields. 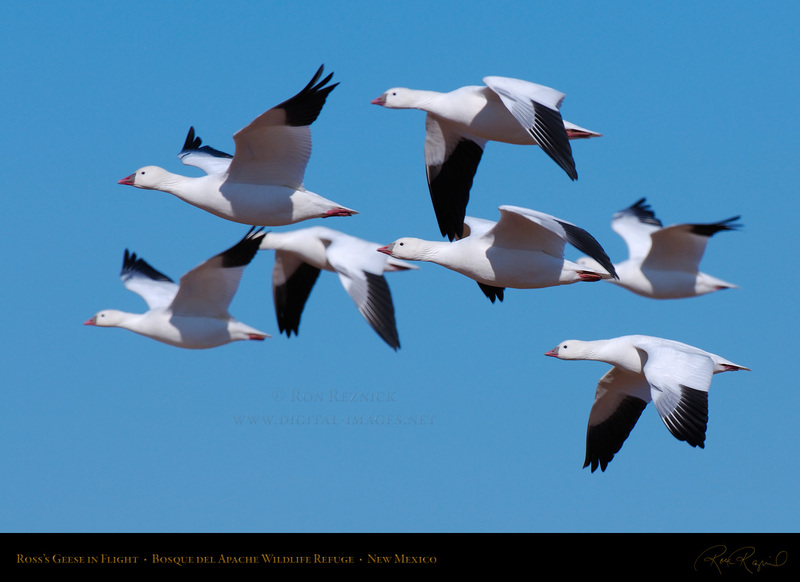 was taken at 1/180 second to render the Snow Geese sharply against the sky. 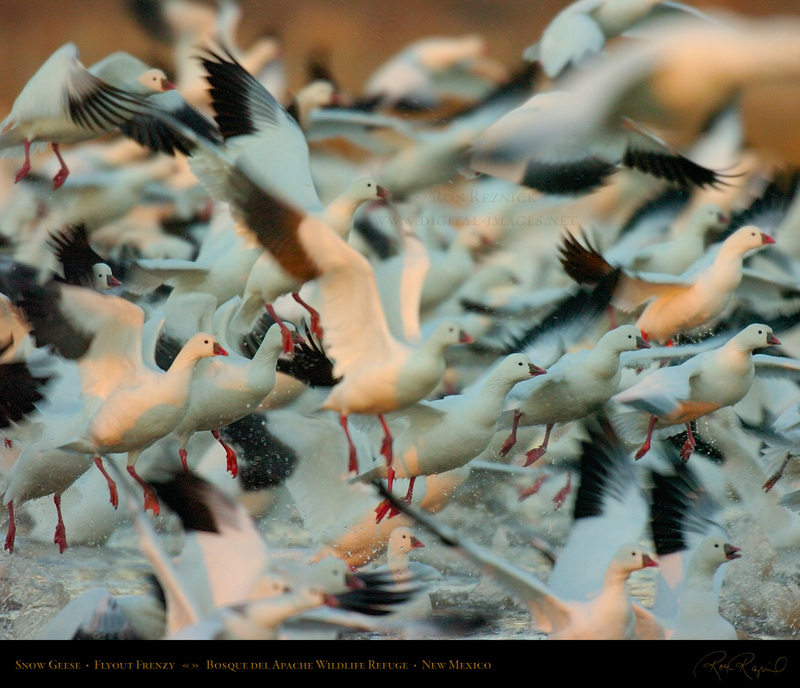 A frenzied gaggle of Snow Geese takes off en-masse for the farm fields at Bosque del Apache. a single Snow Goose flying at sunrise, displaying three different wing positions. Snow Geese flying to the farm fields at Bosque del Apache about an hour after sunrise. 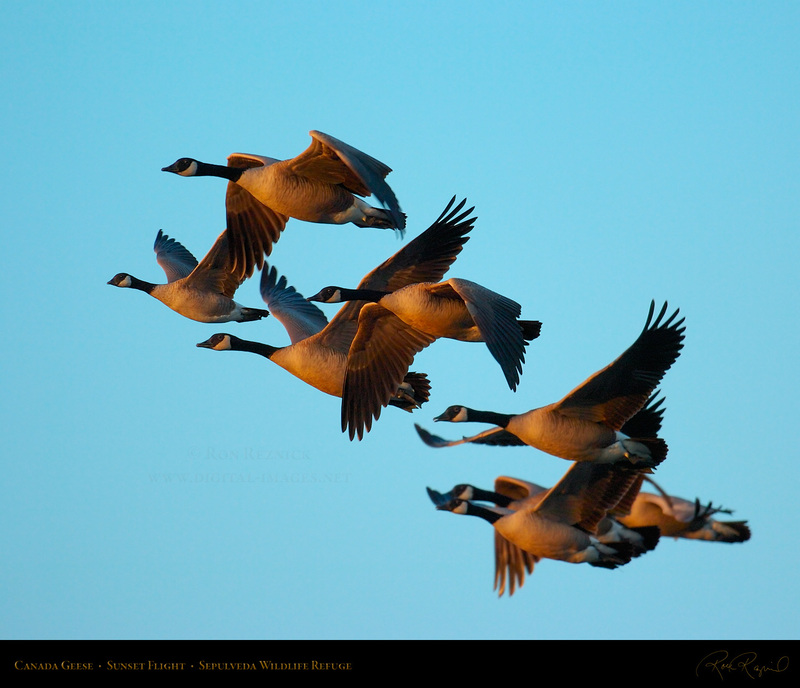 Ross’s Geese in a mid-afternoon flight over the farm fields. Note the lack of black “lips” between the upper and lowe bill. 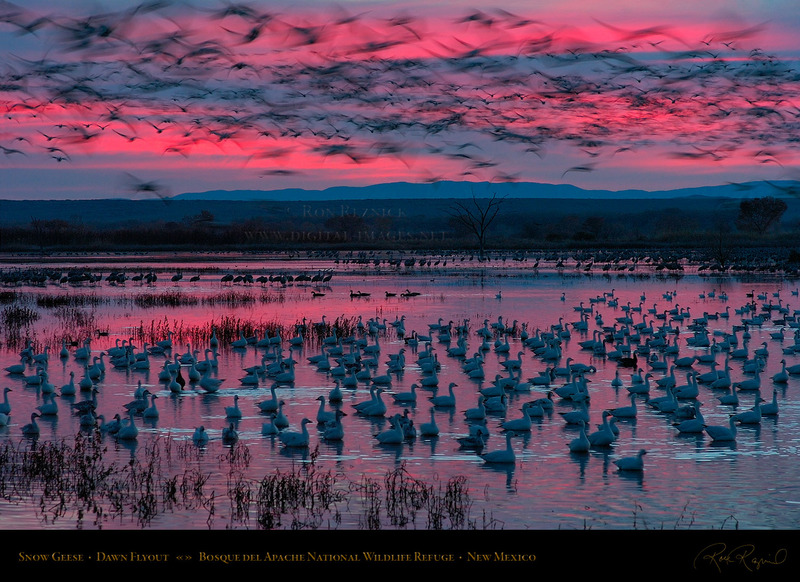 Snow Geese and Ross’s Geese flock together at Bosque del Apache Wildlife Refuge in New Mexico. 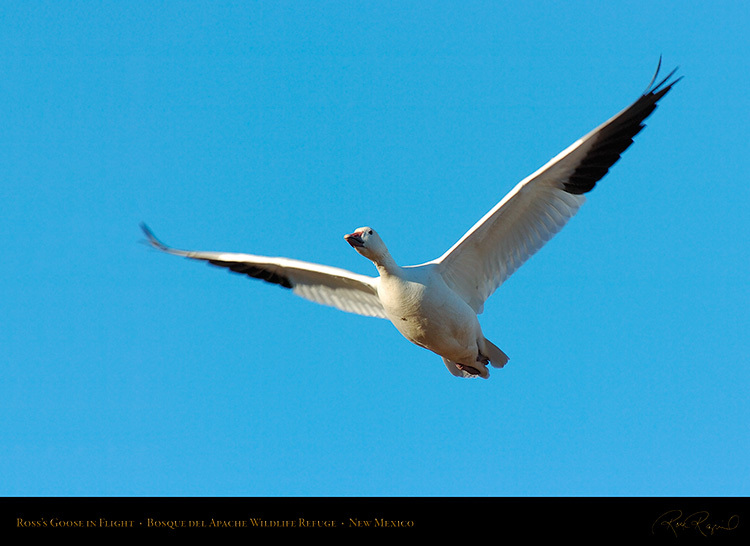 black tomia (cutting edges) which give Snow Geese the dark grin patch which are often called “lips”. Snow Geese have two color phases: the White morph shown here and the dark phase (Blue morph). Images of Blue morphs in flight and with White morph geese are in the Bosque del Apache section. A Ross’s Goose in flight in the mid-afternoon at Bosque del Apache. Note the lack of black “lips”. 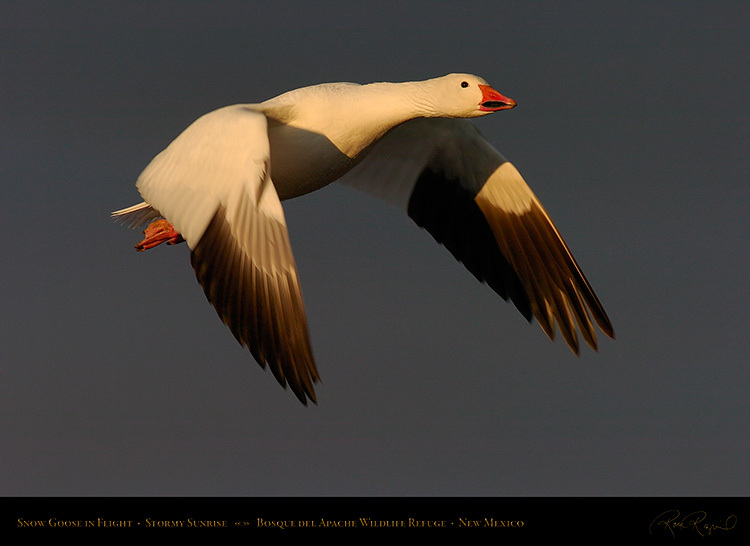 An unusual high contrast flight portrait of a Snow Goose at sunrise with storm clouds in the background. The wide black tomia (cutting edge) of the bill is prominent. 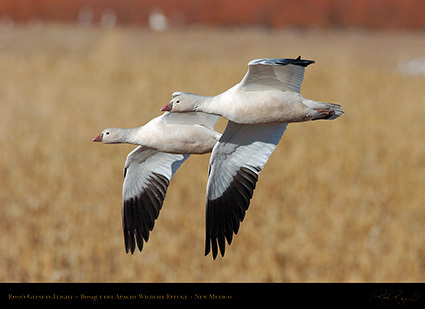 These are the black “lips” of the Snow Goose. 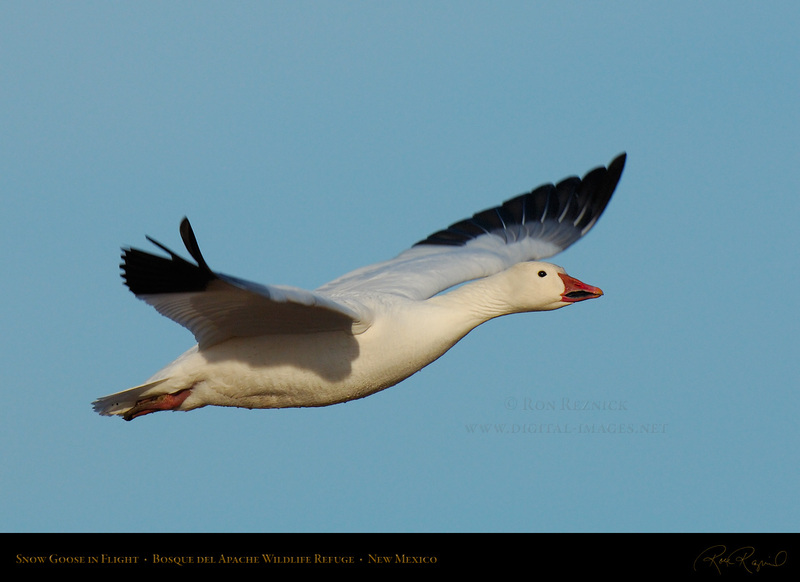 A Snow Goose in flight early on a thinly overcast morning at Bosque del Apache. 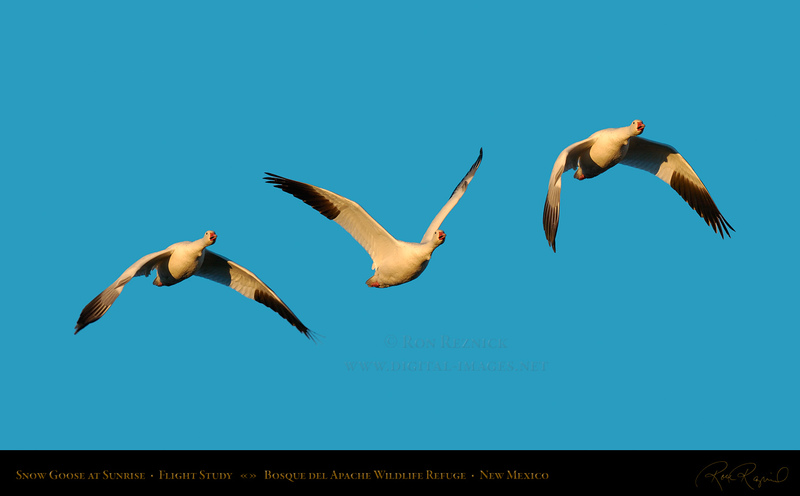 A group of Ross’s Geese in flight in the late morning over the farm fields at Bosque del Apache. A group of Snow Geese soaring past the Moon, early in the evening before sunset at Bosque del Apache. 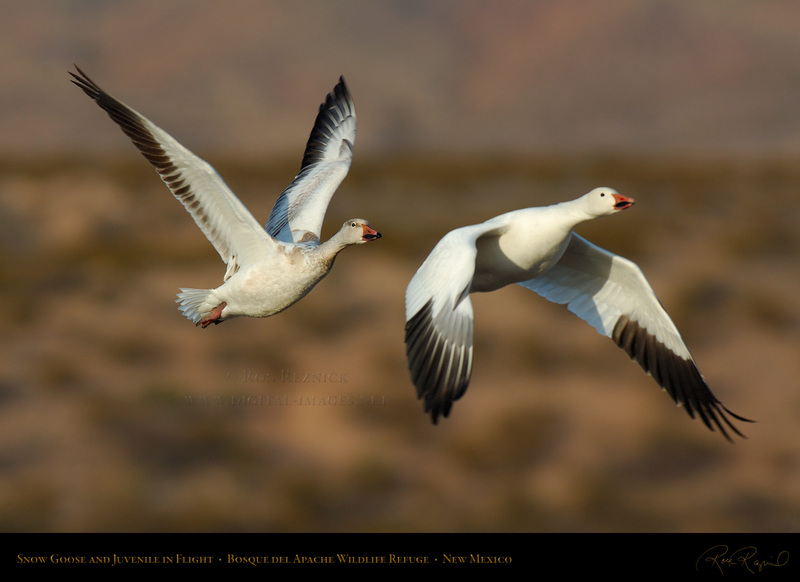 A detailed presentation of Snow Geese is in the Bosque del Apache section. 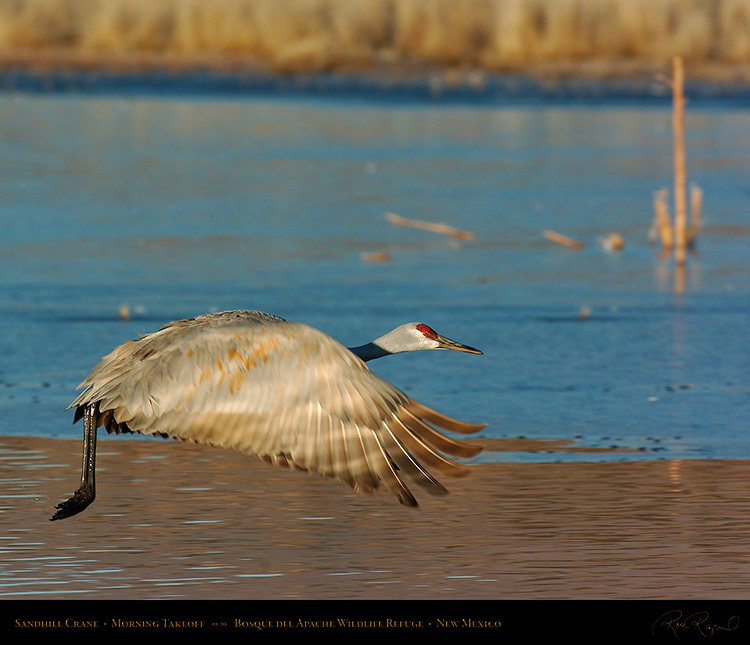 A side profile shot taken as a Sandhill Crane leaves the Crane Pool on a December morning. Sandhill Cranes are detailed in the Sandhill Crane Wildlife Study and the Bosque del Apache section.